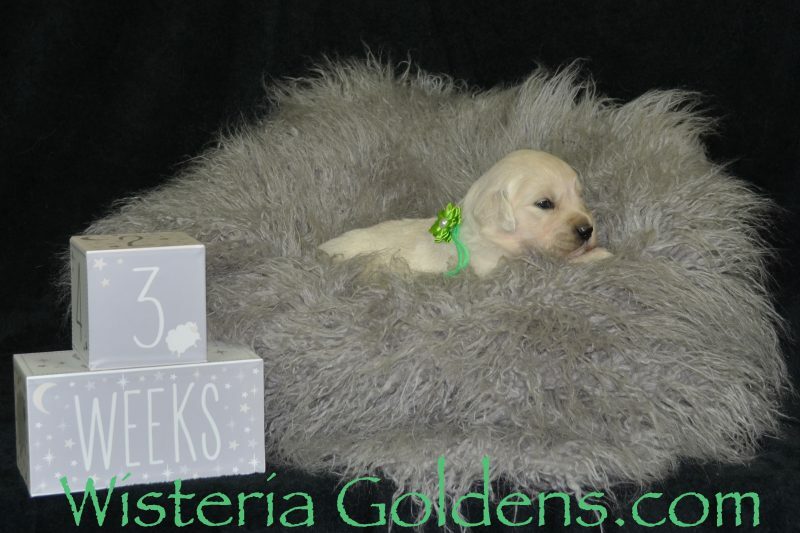 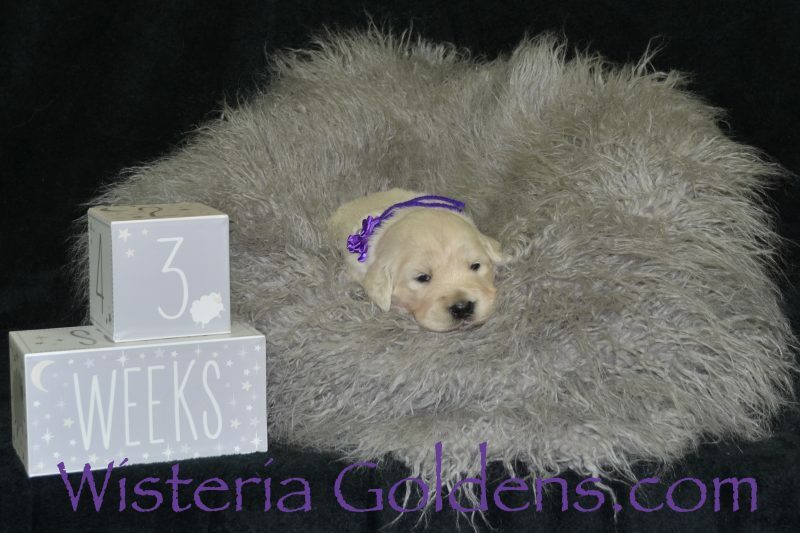 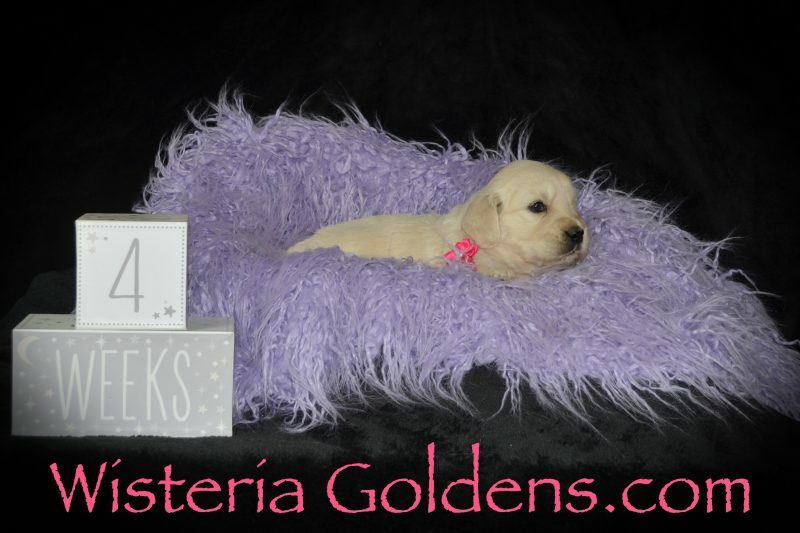 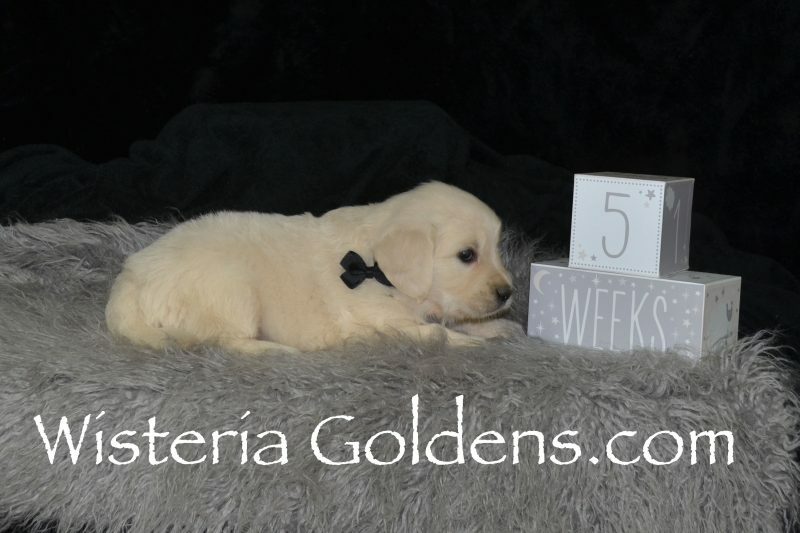 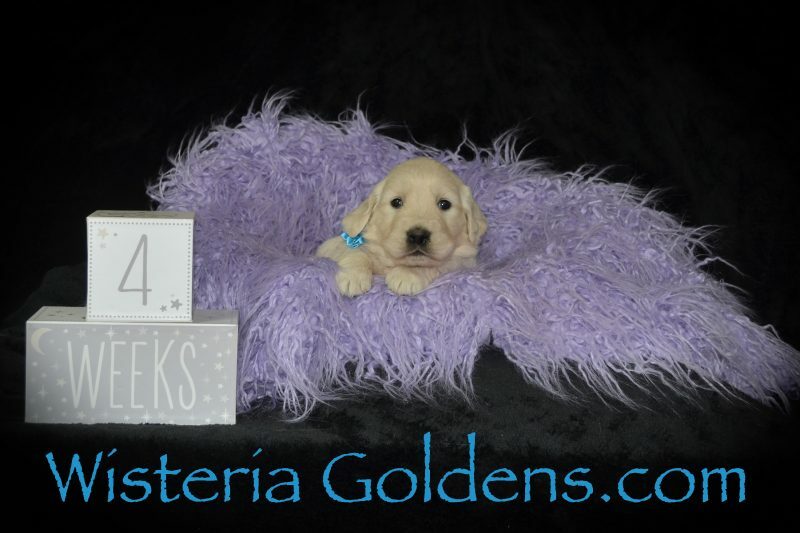 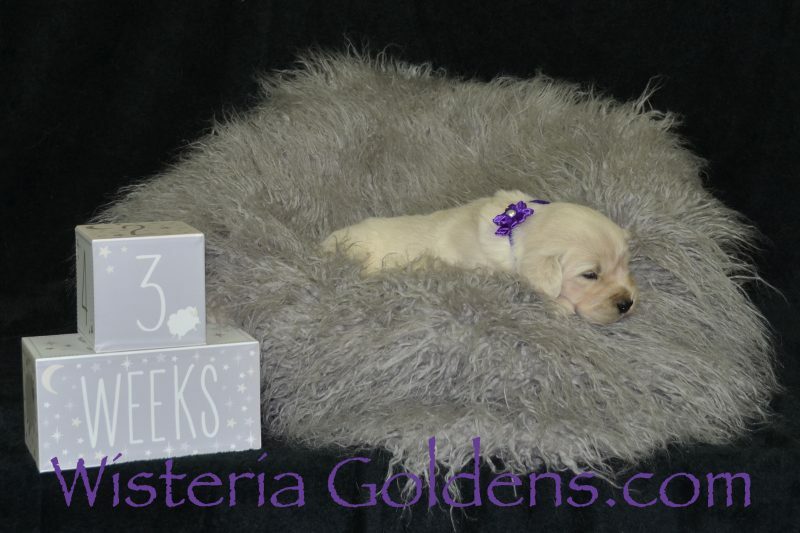 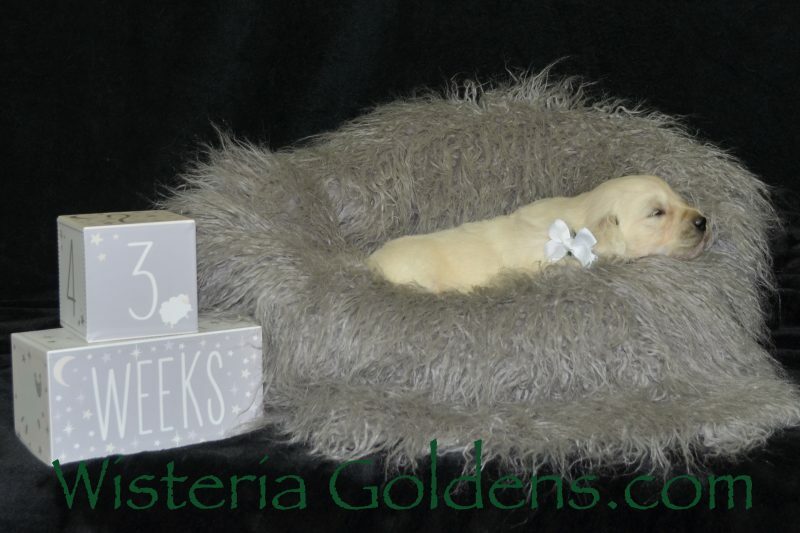 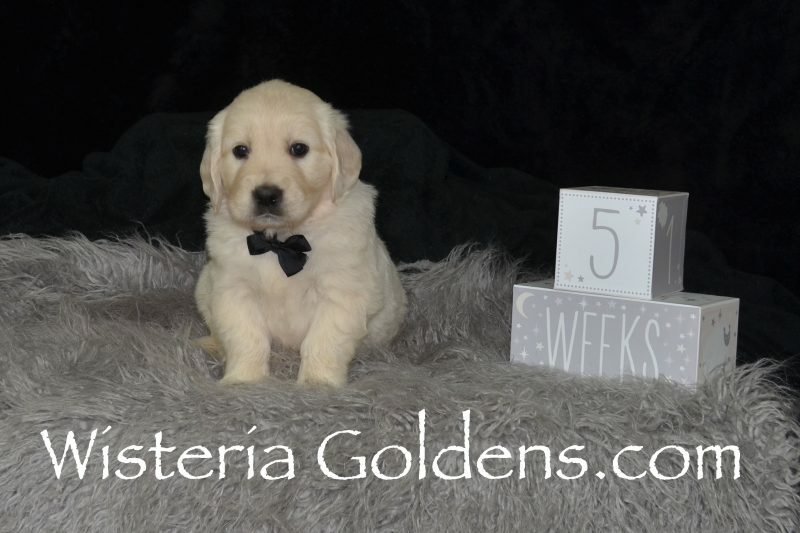 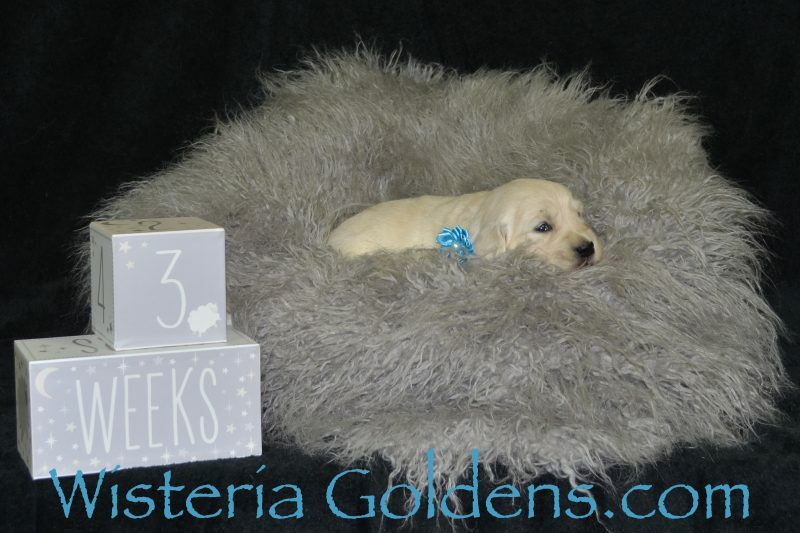 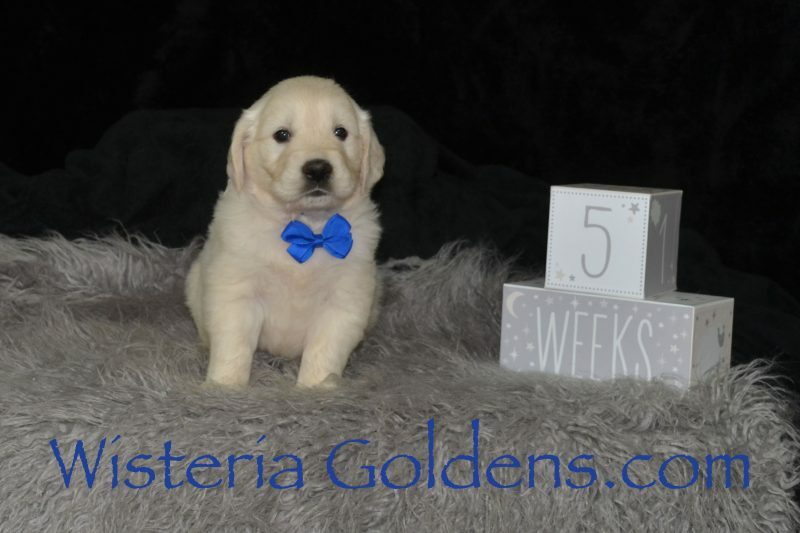 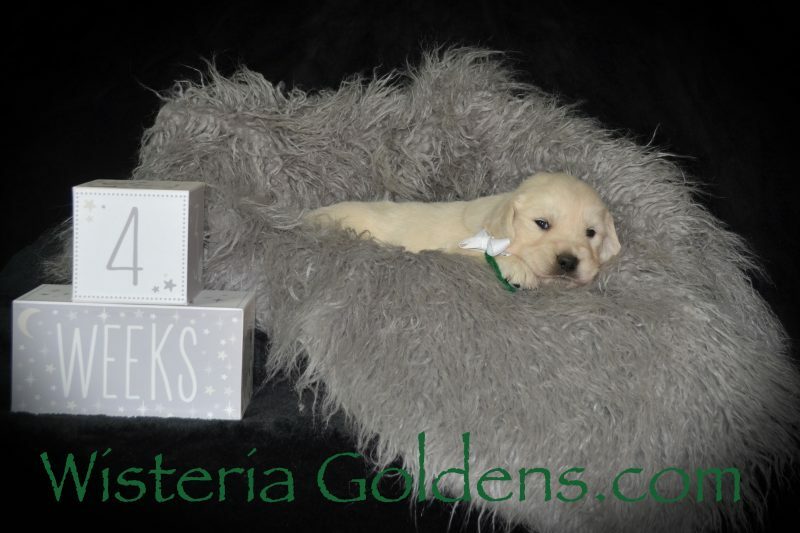 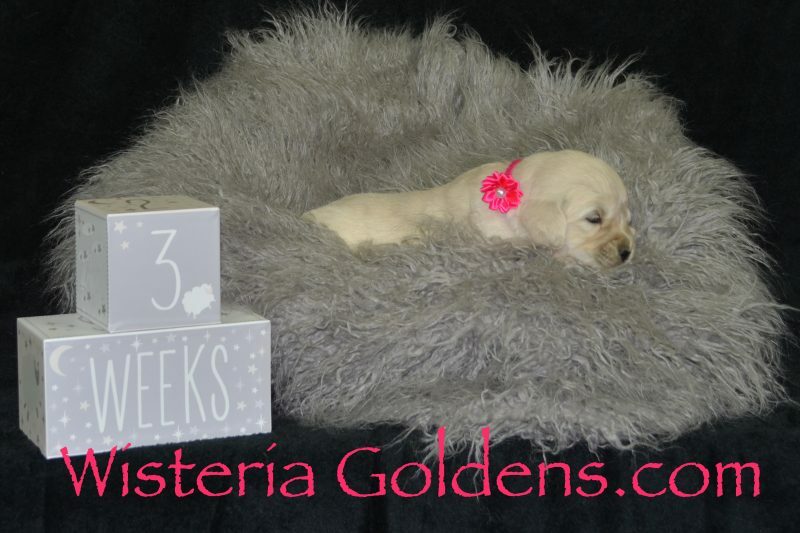 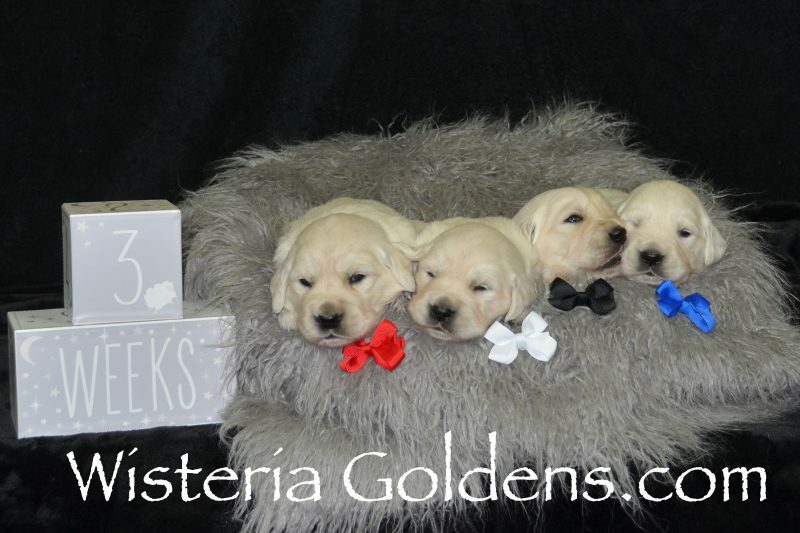 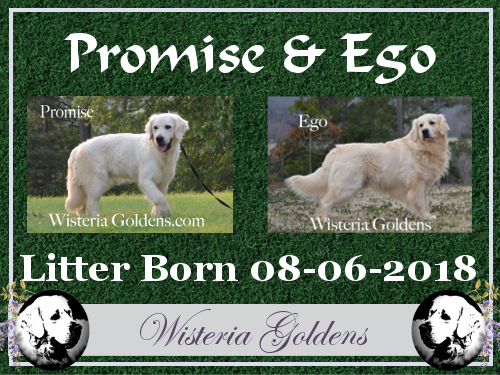 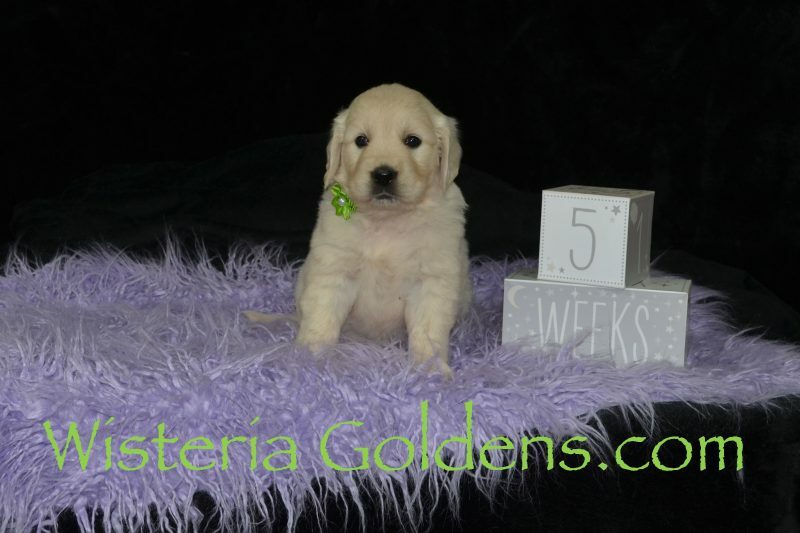 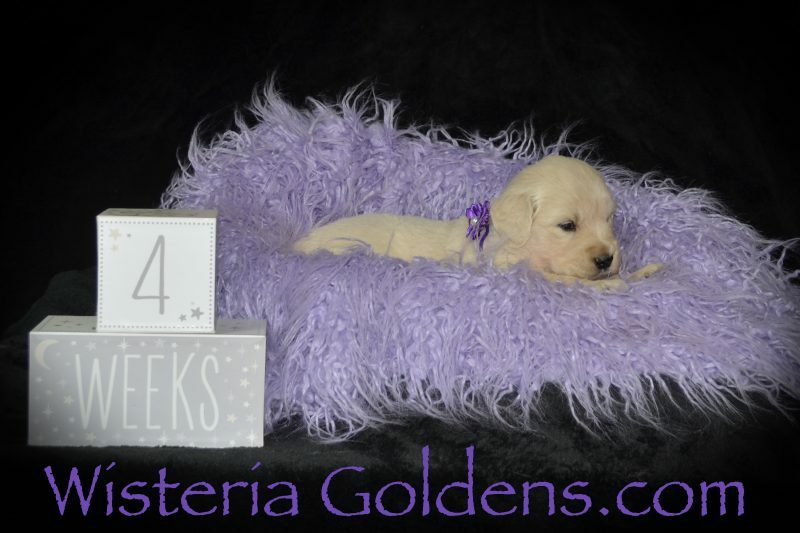 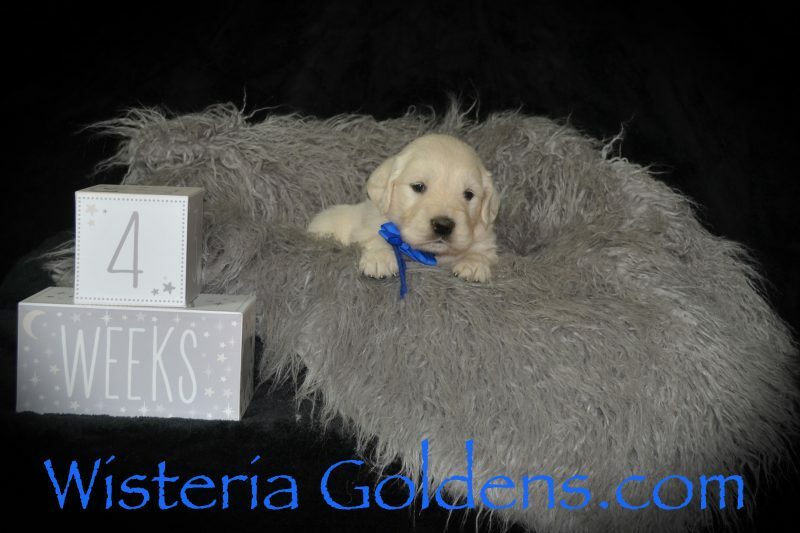 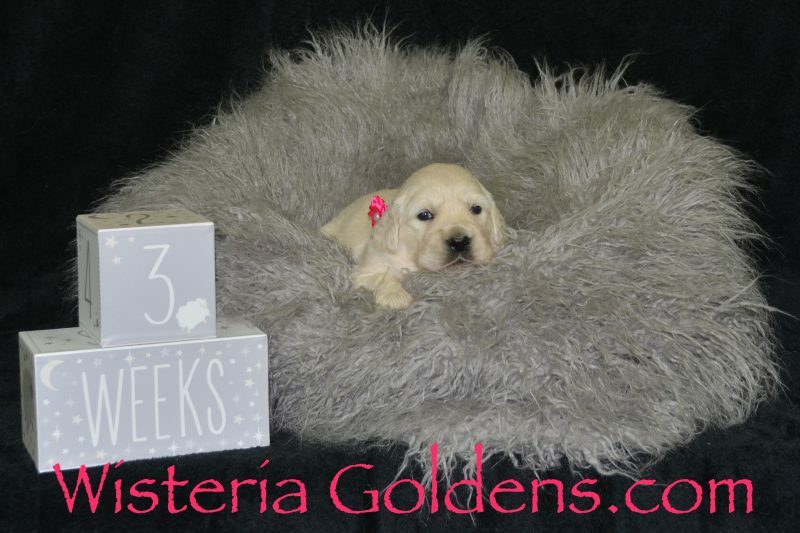 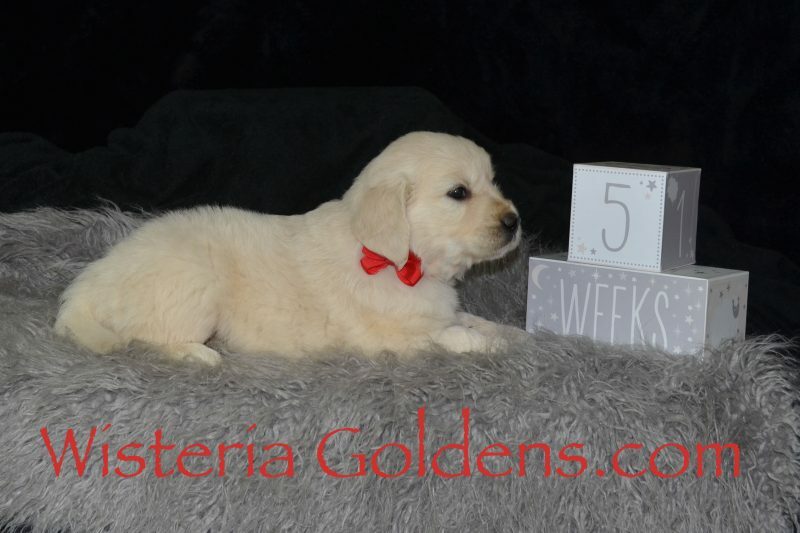 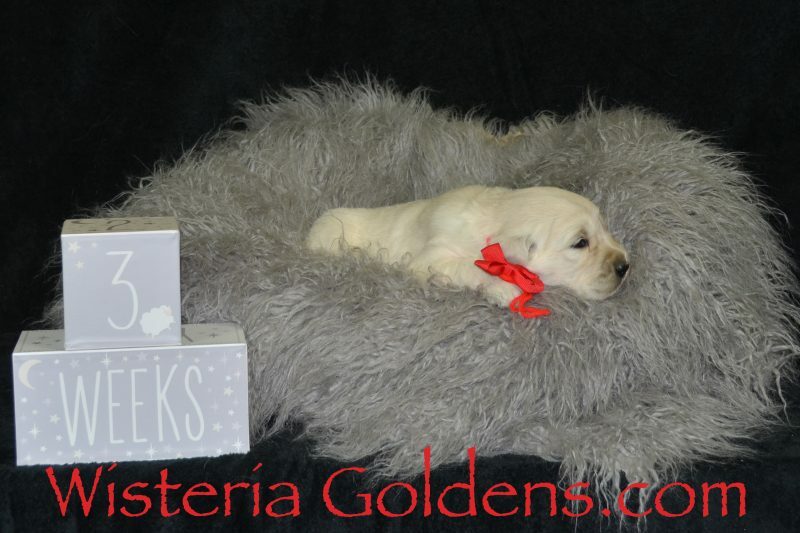 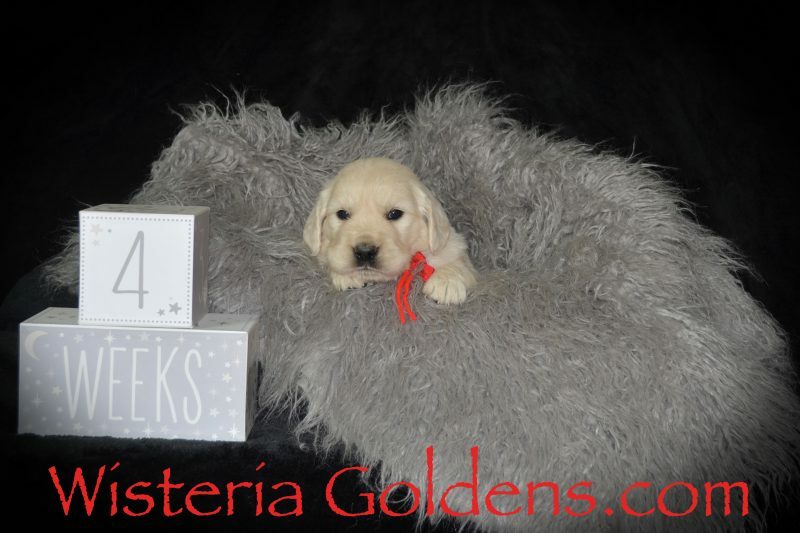 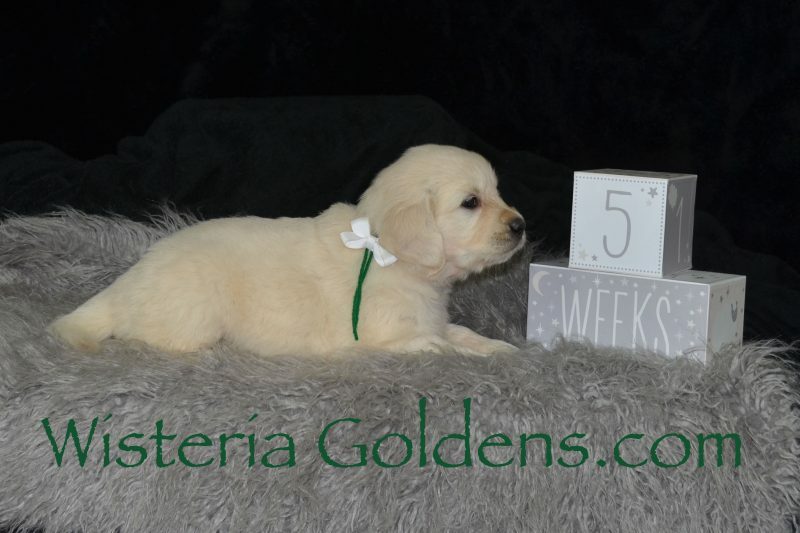 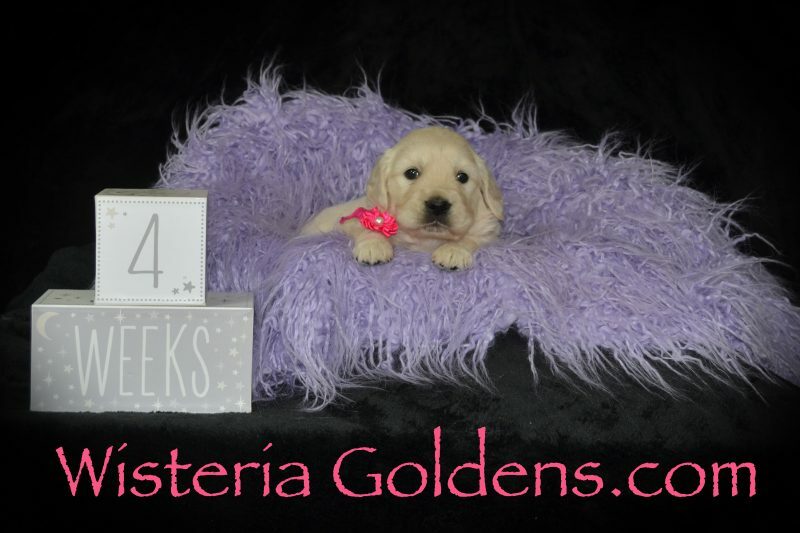 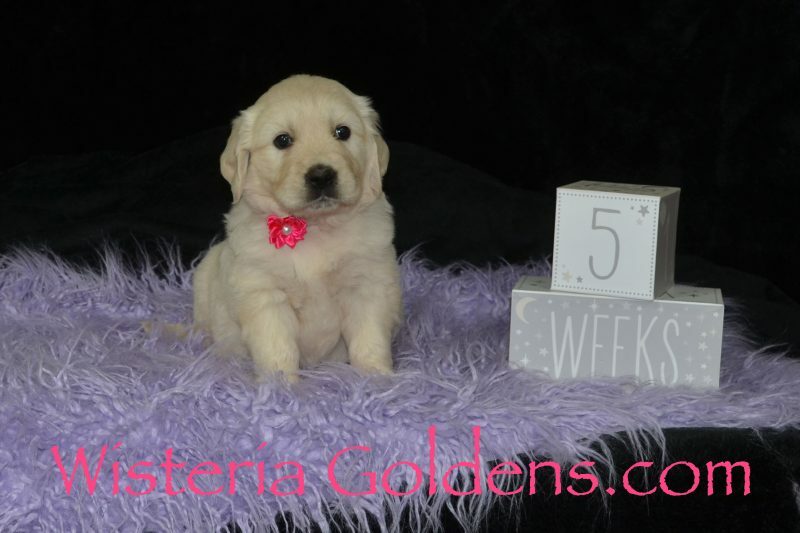 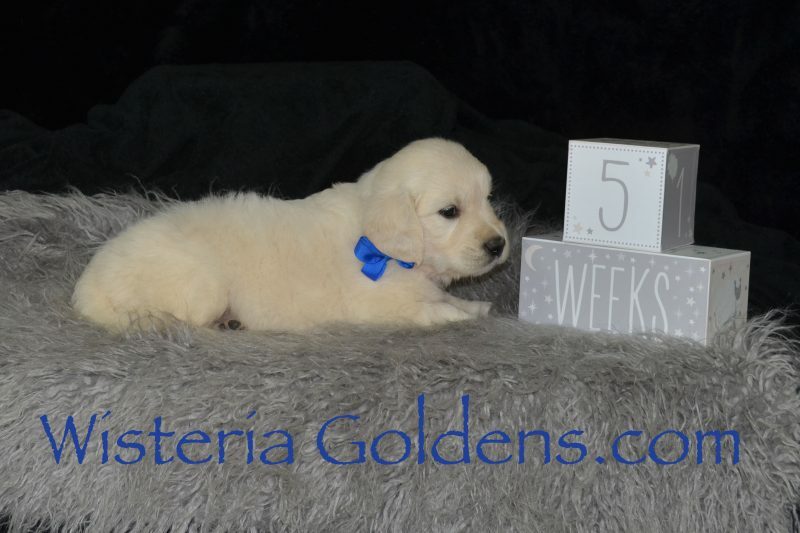 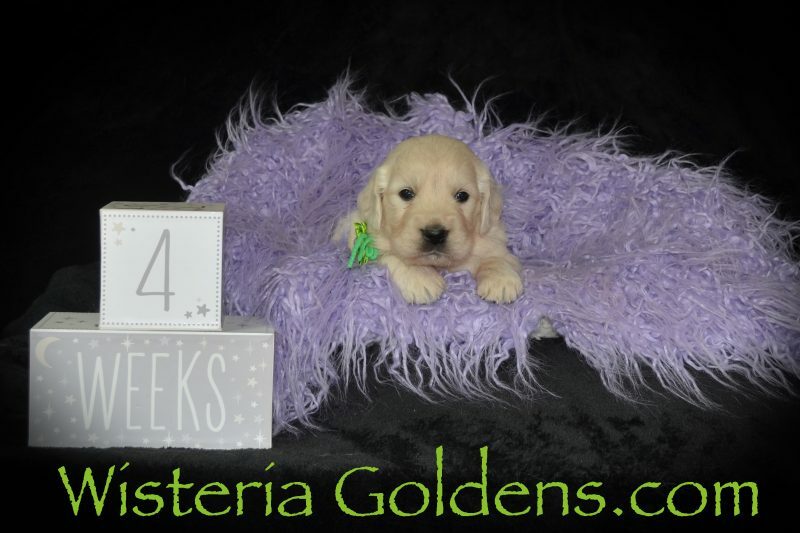 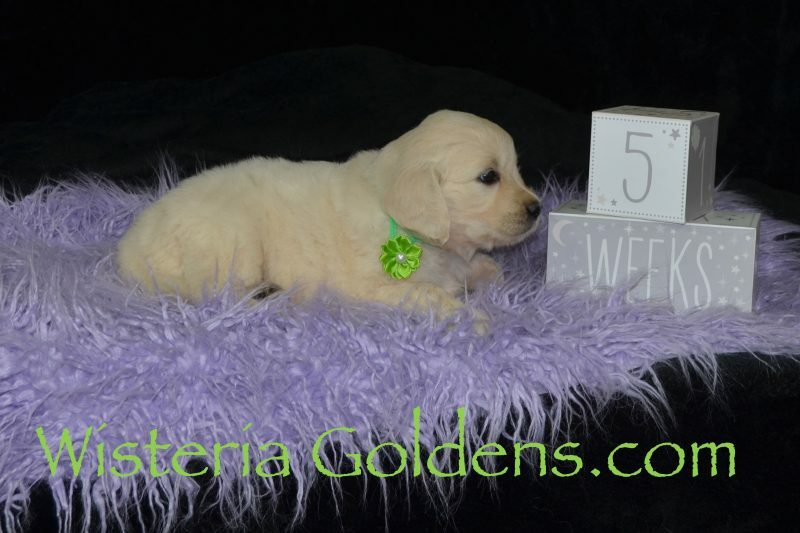 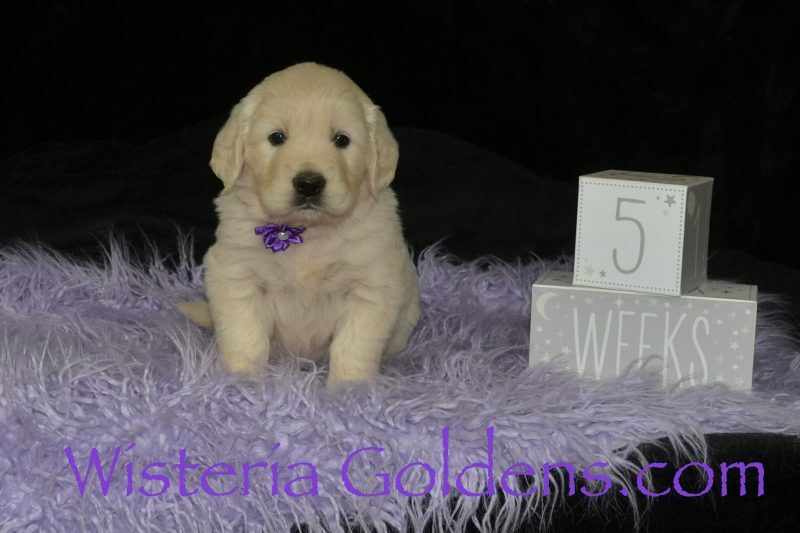 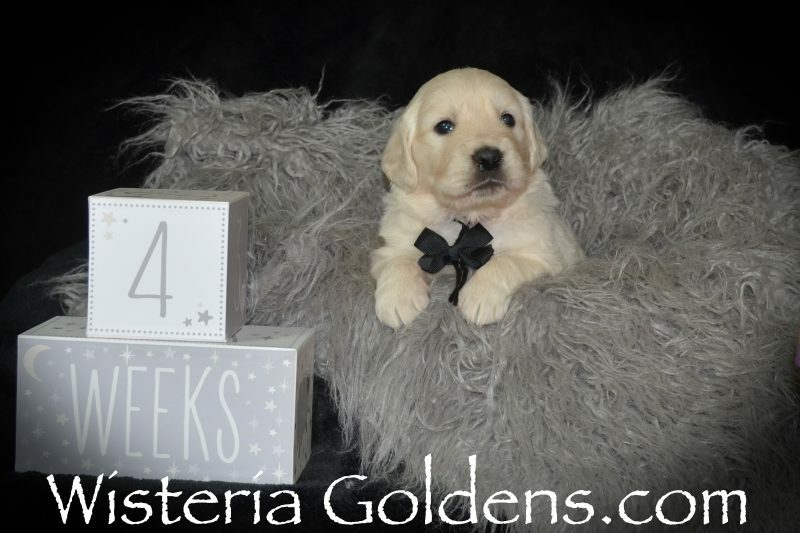 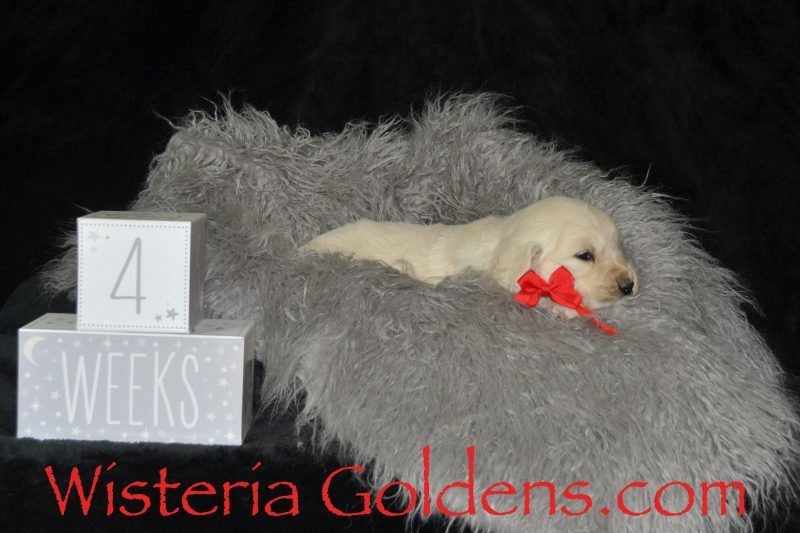 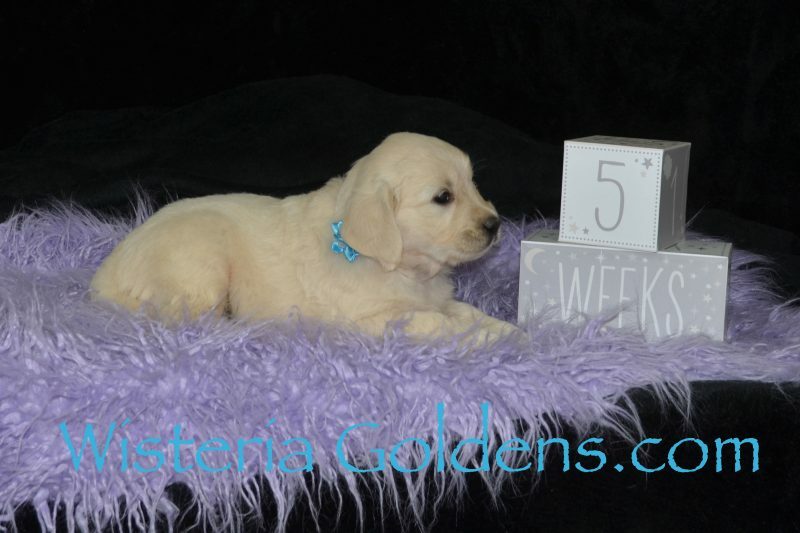 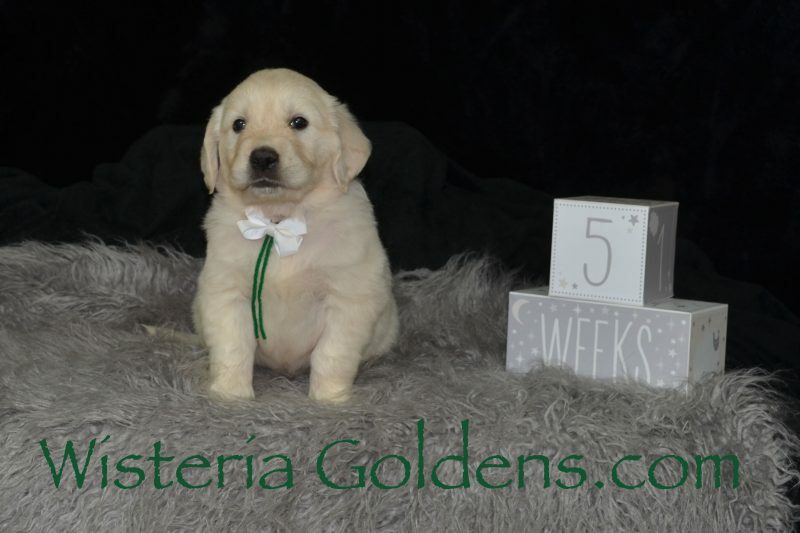 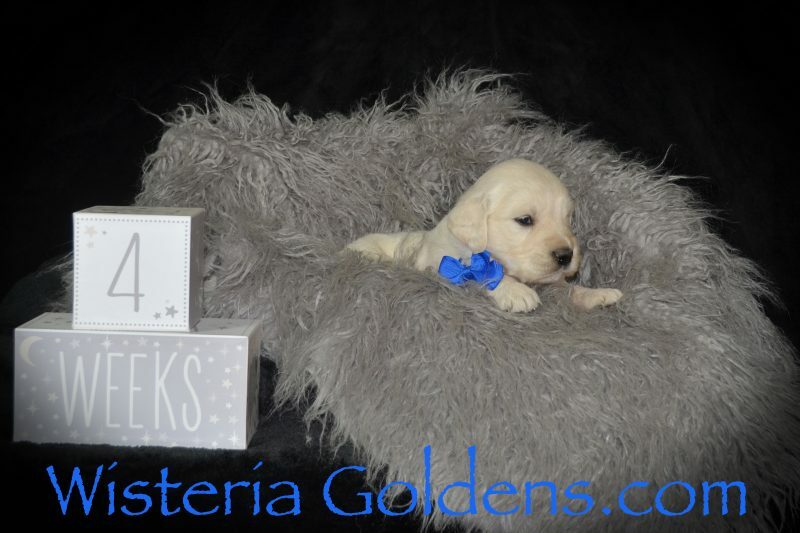 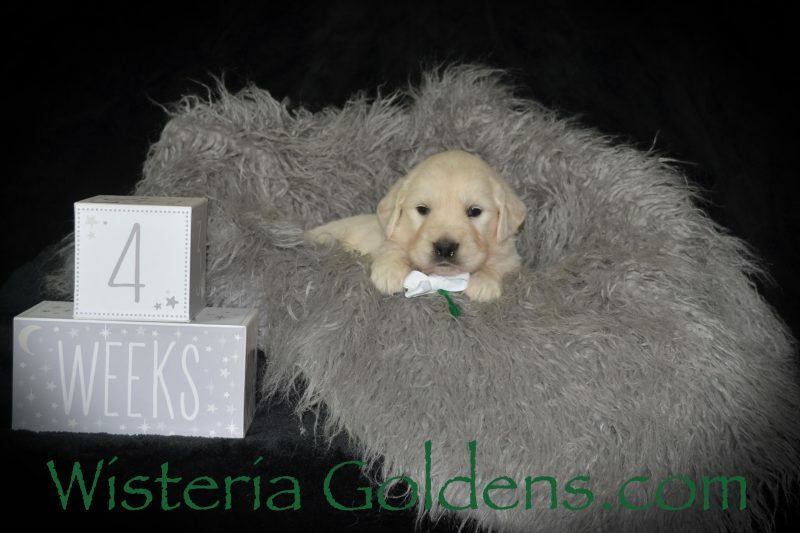 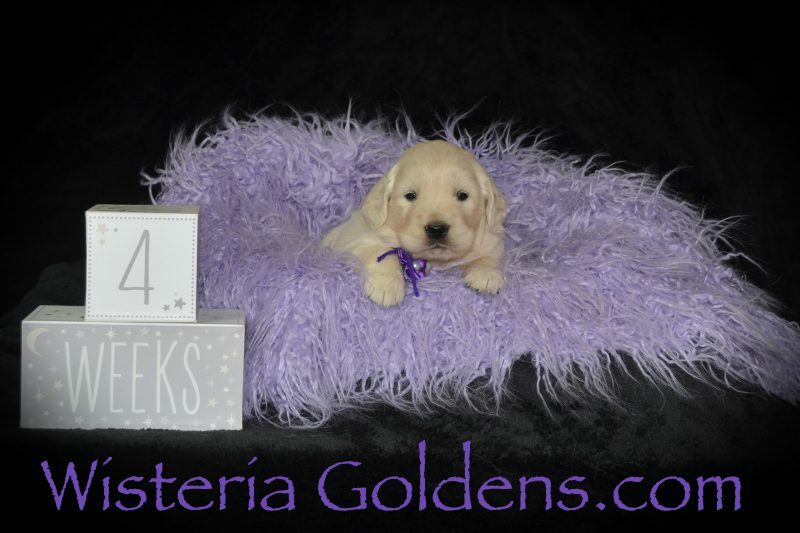 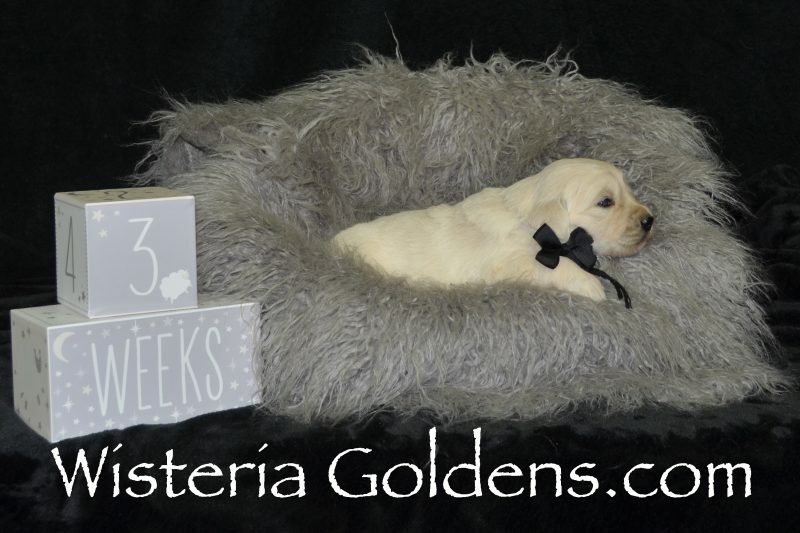 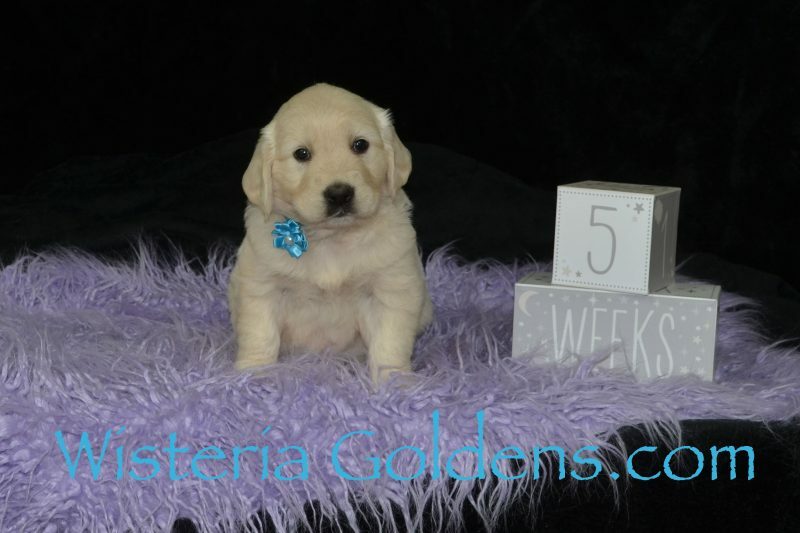 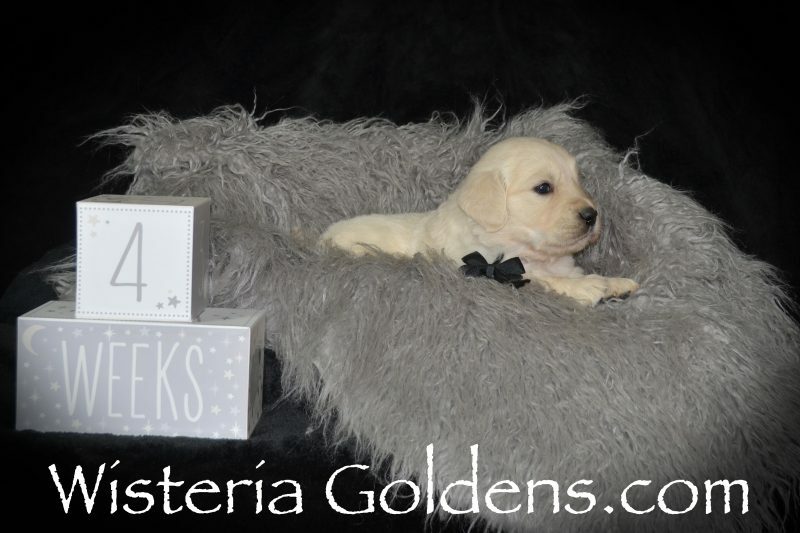 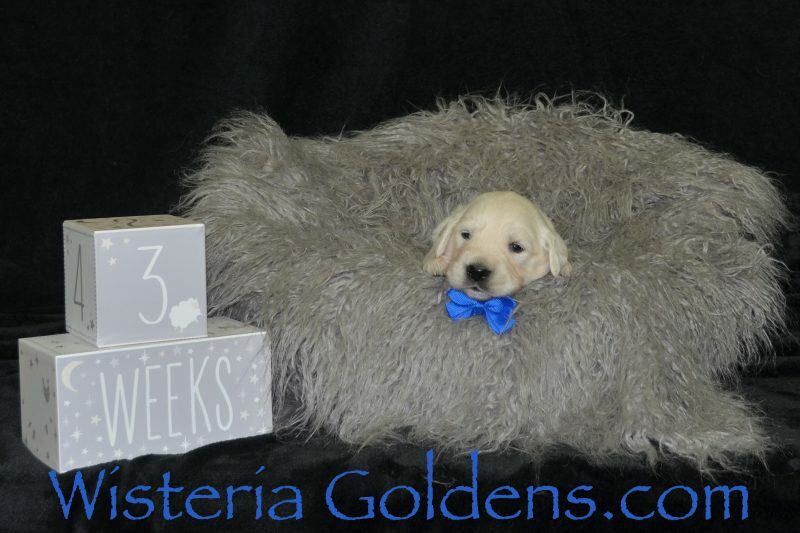 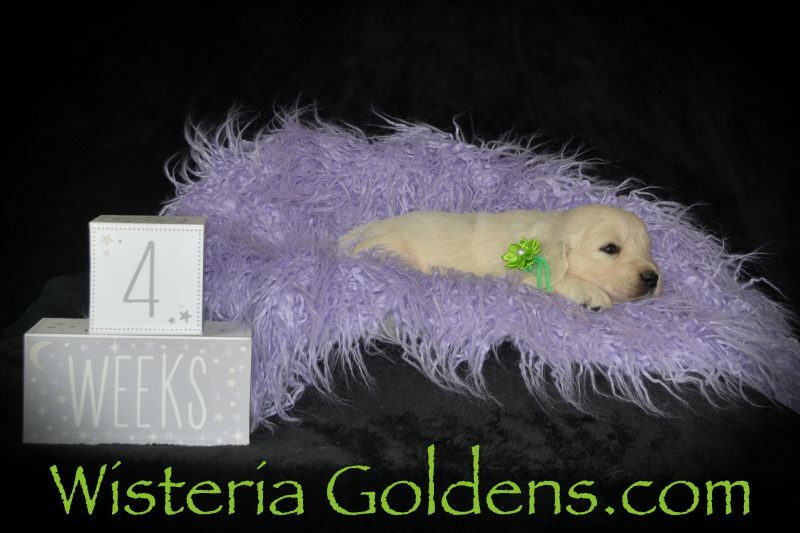 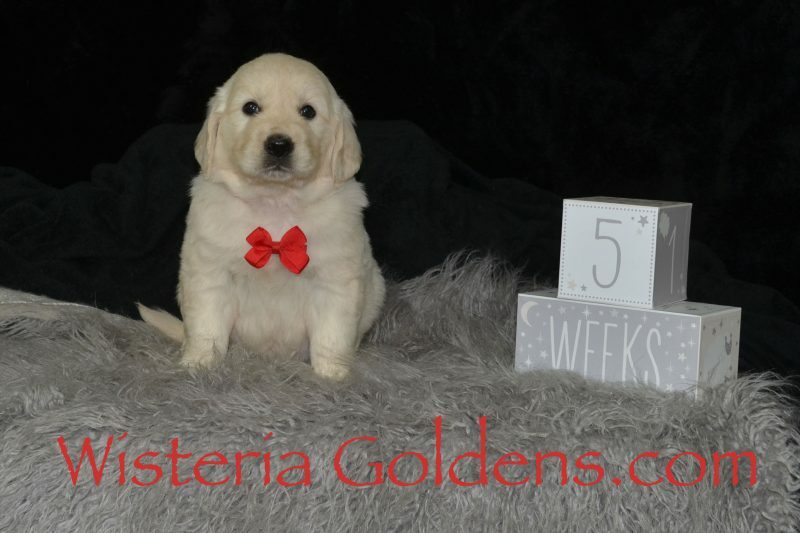 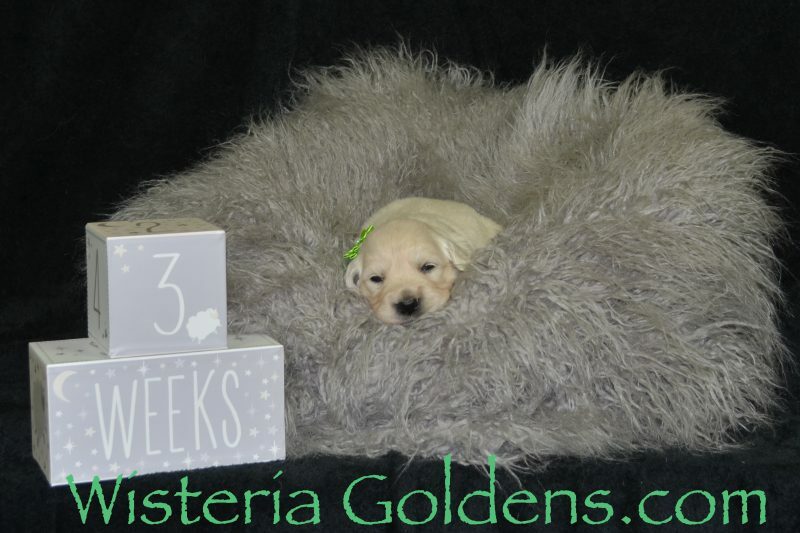 Previous Puppies Promise Litter Born 08-06-2018 Promise/Ego – Litter Born 8/6/2018. 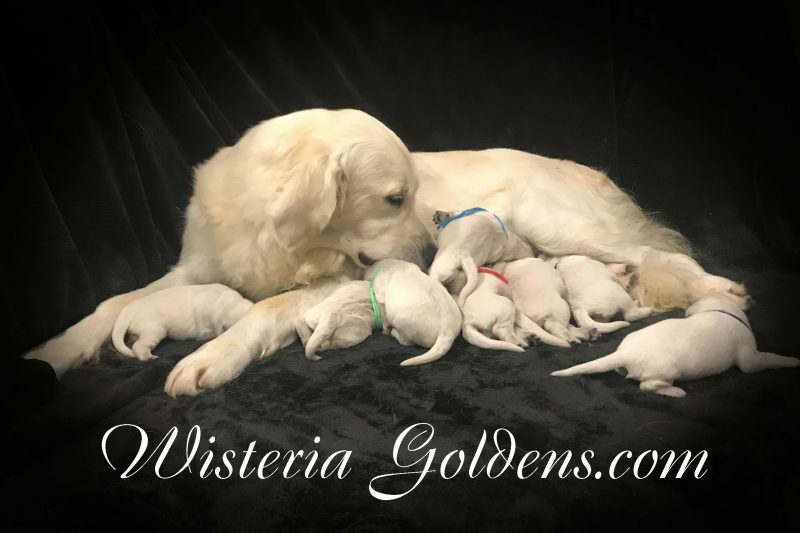 4 girls and 4 boys. 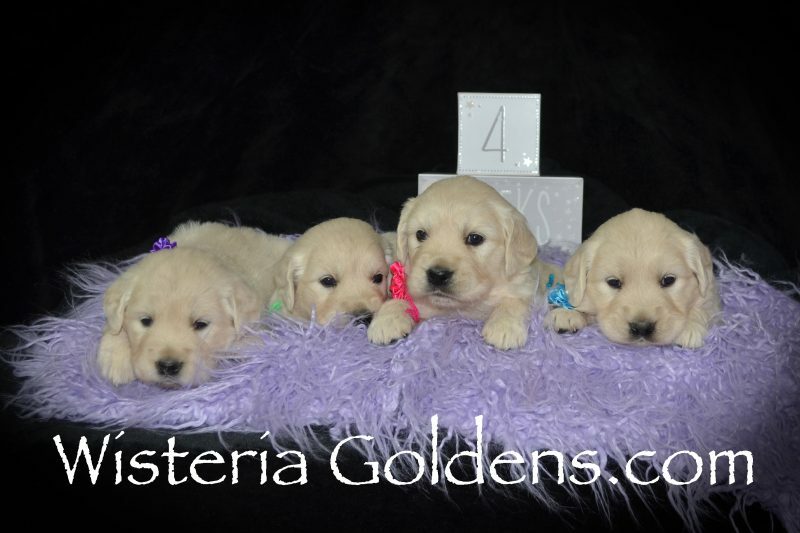 All females are sold and all males are sold. 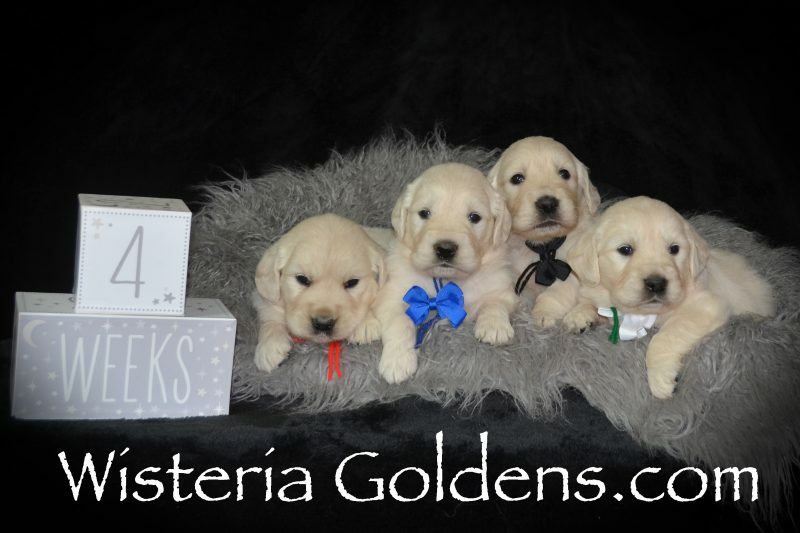 Promise Litter Born 08-06-2018 Promise/Ego 4 girls and 4 boys. 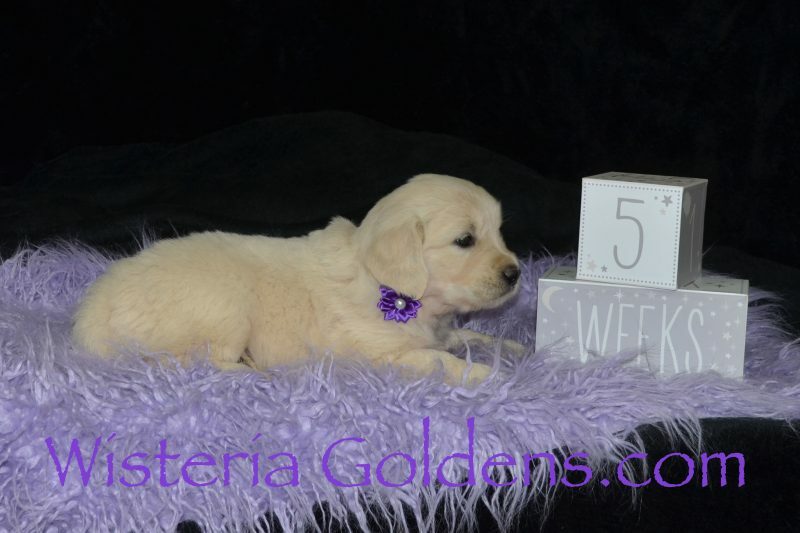 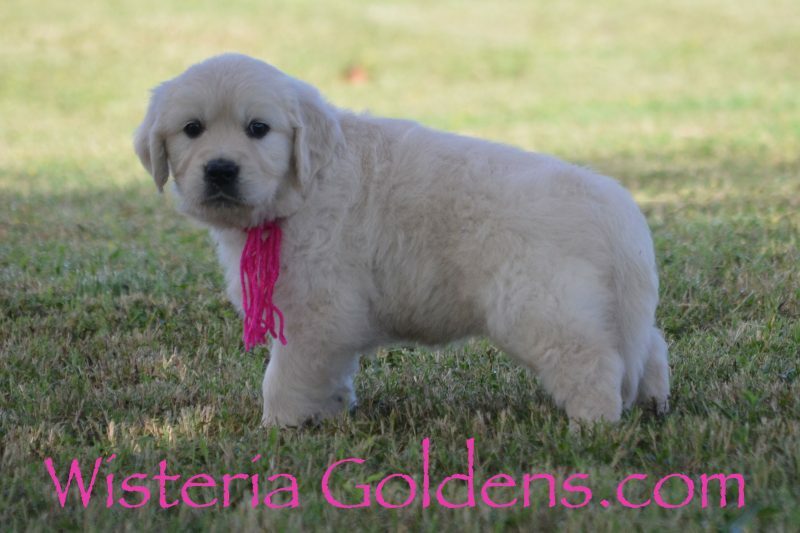 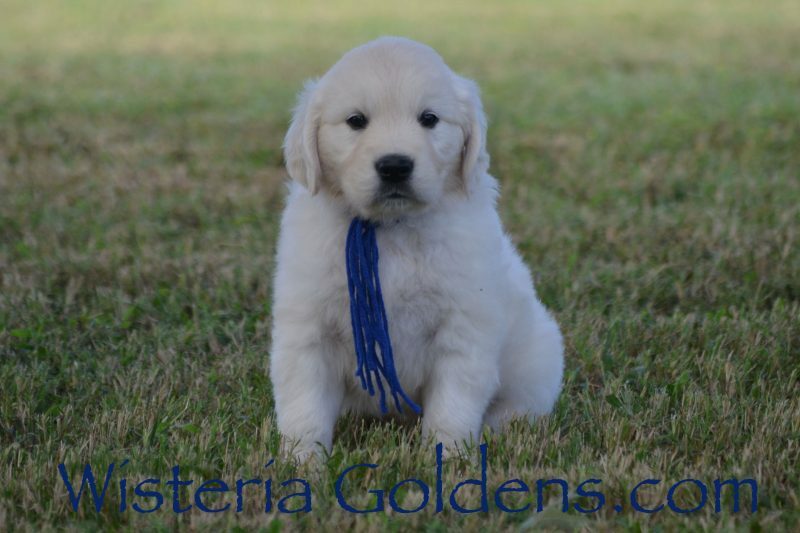 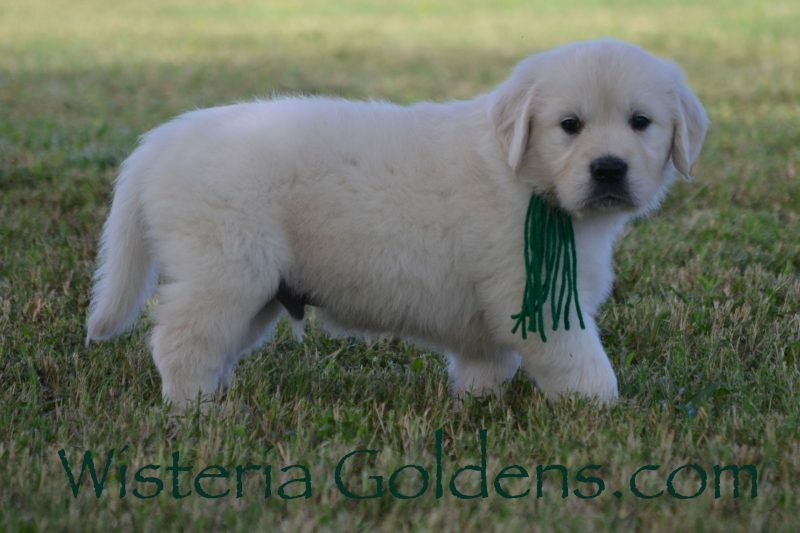 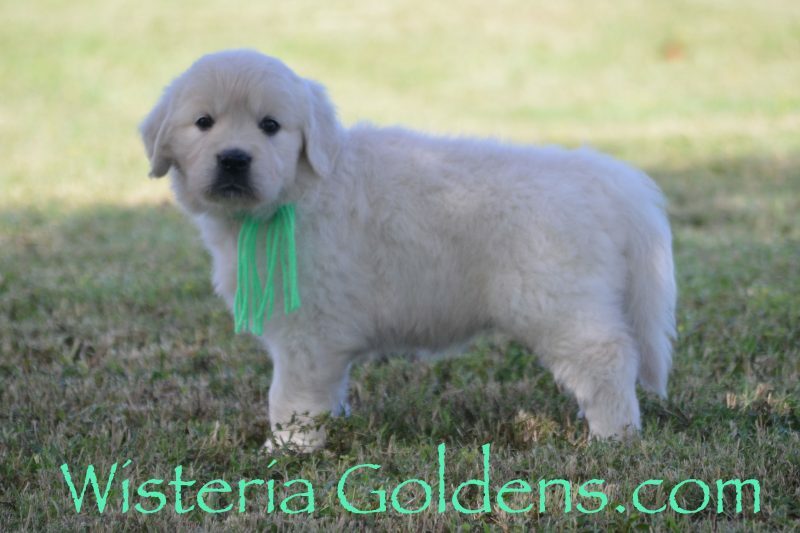 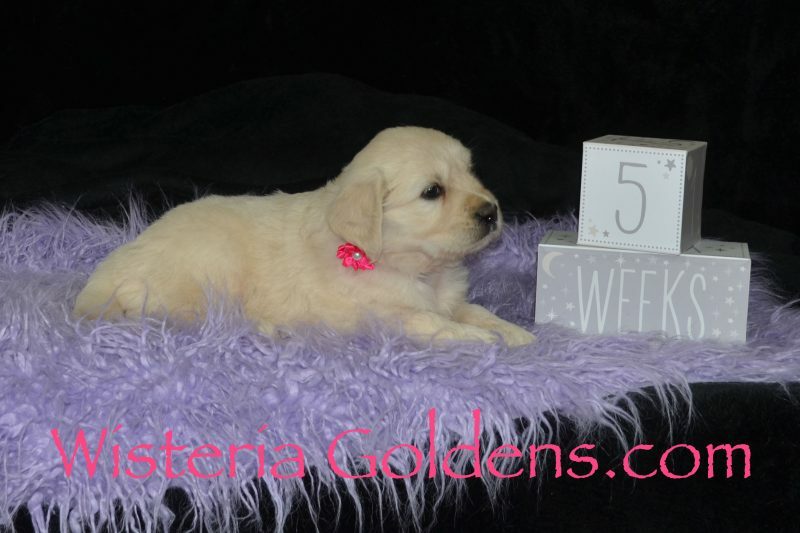 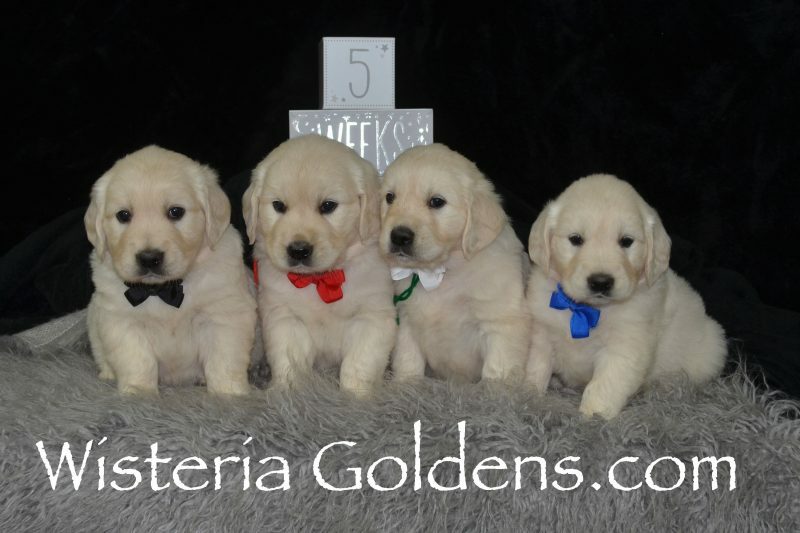 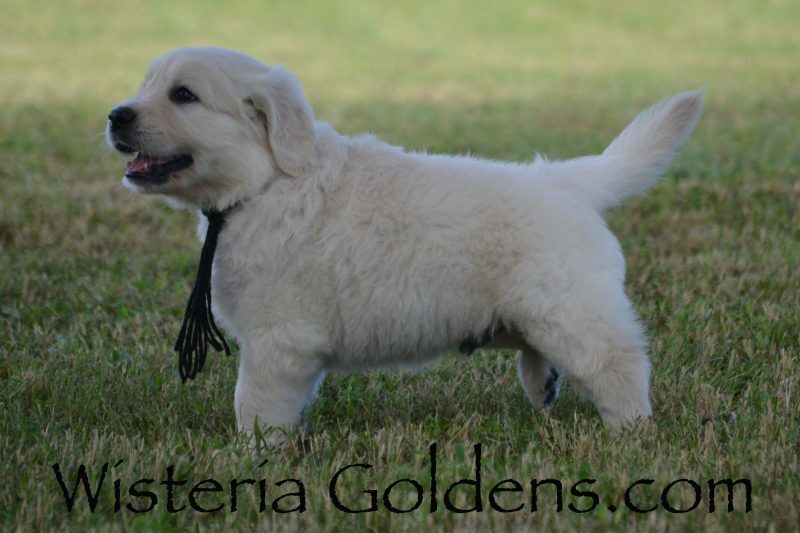 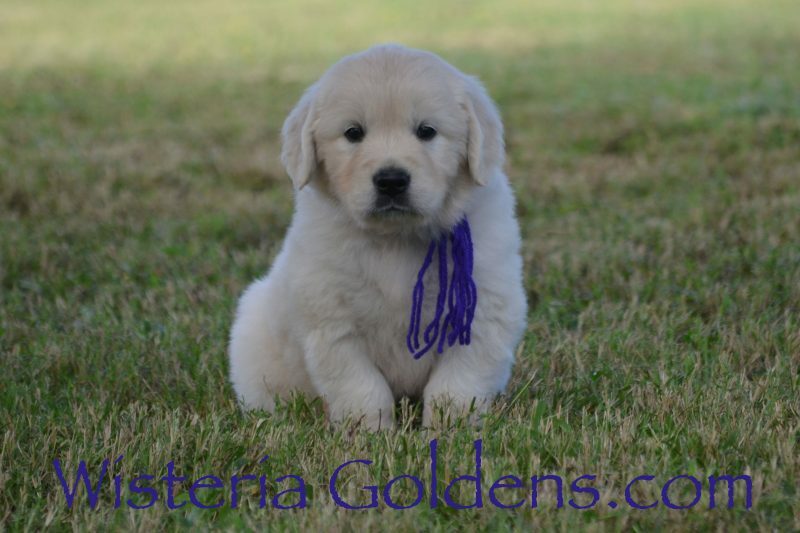 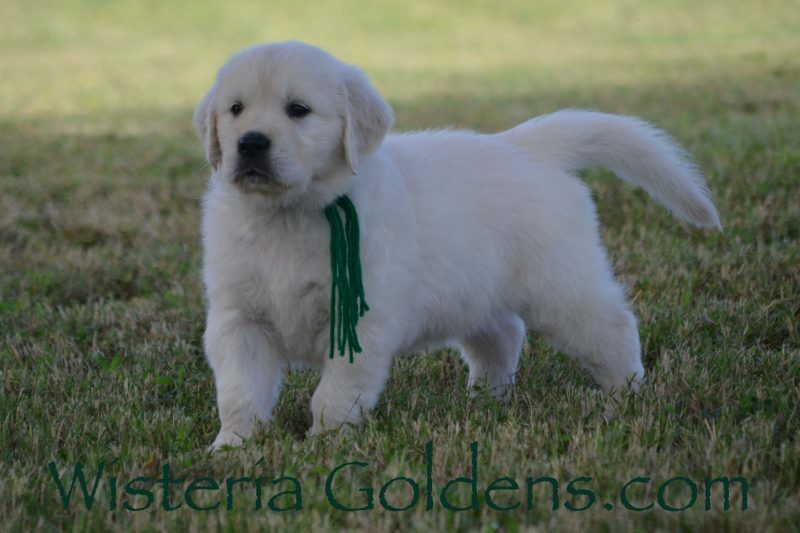 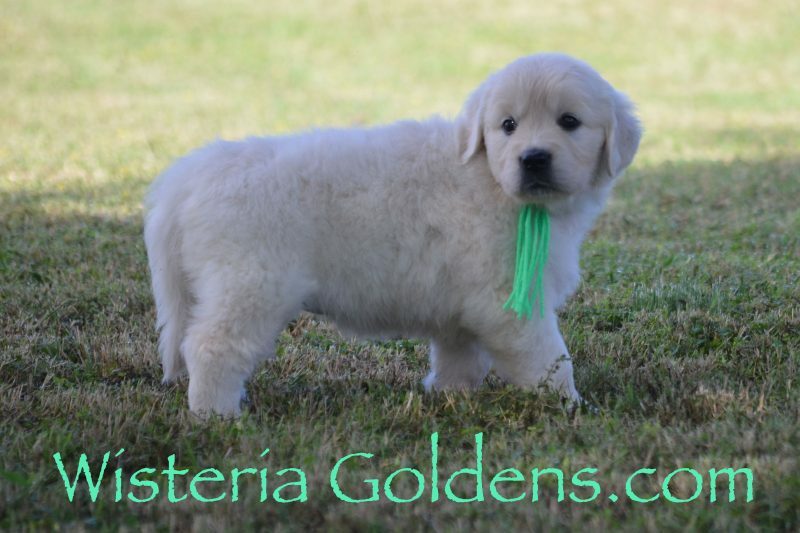 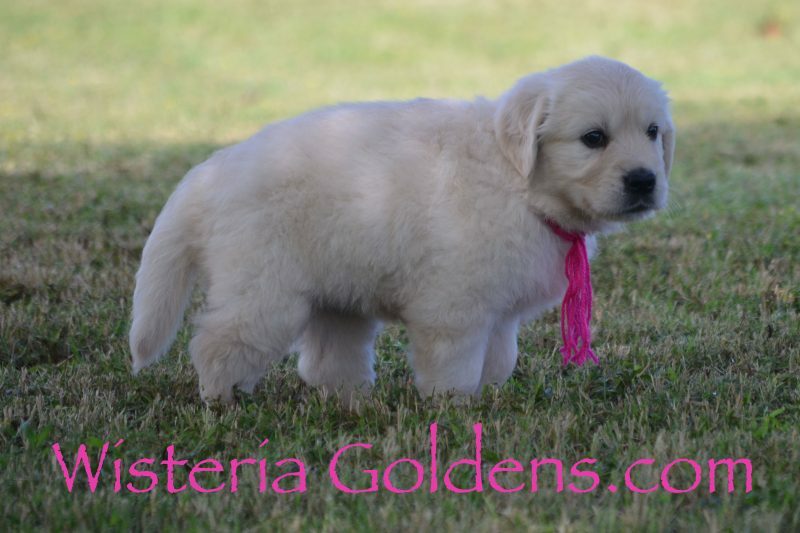 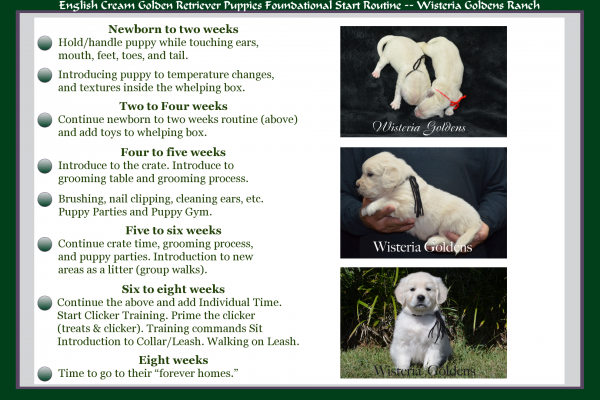 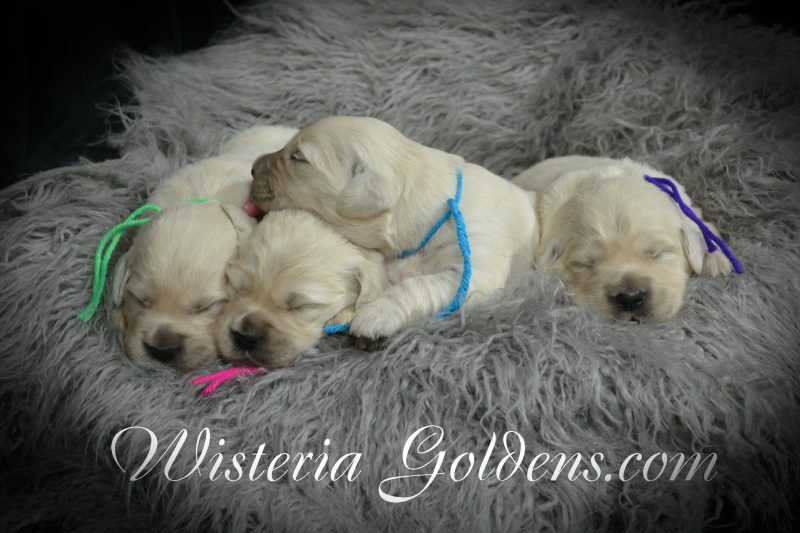 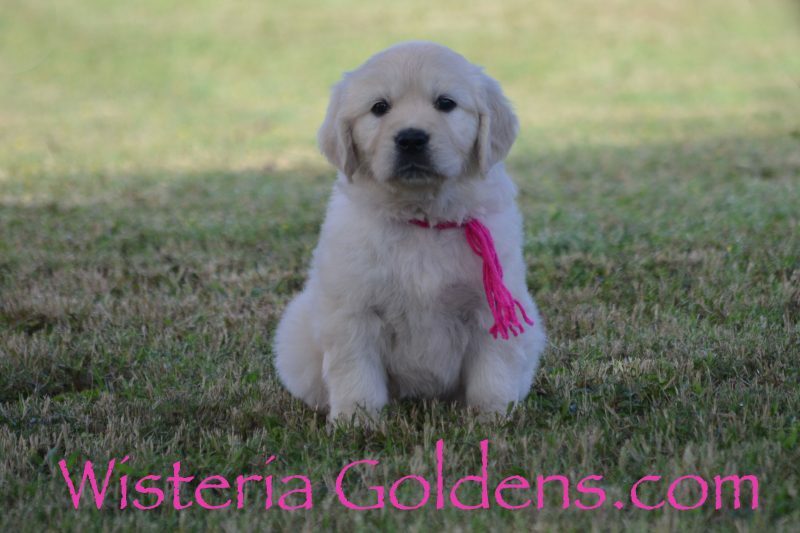 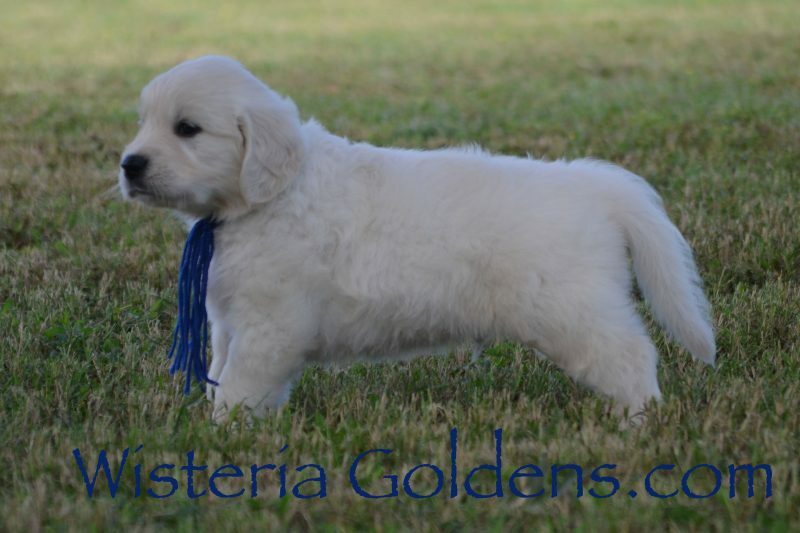 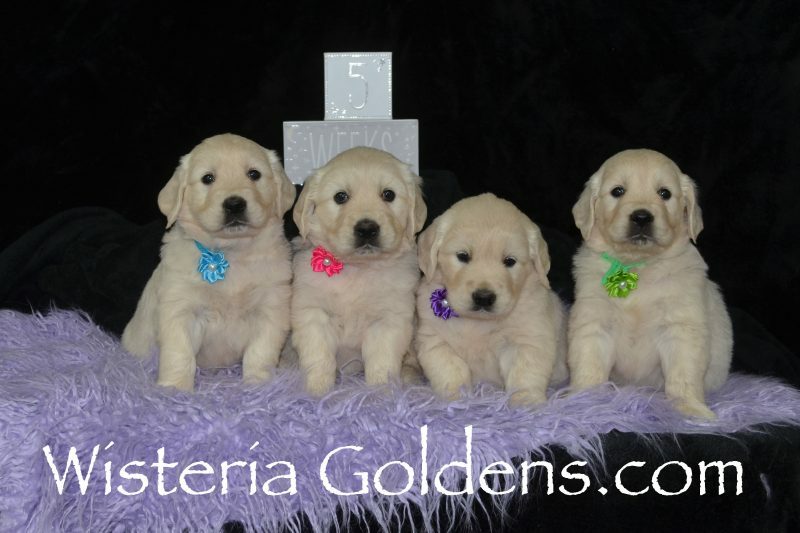 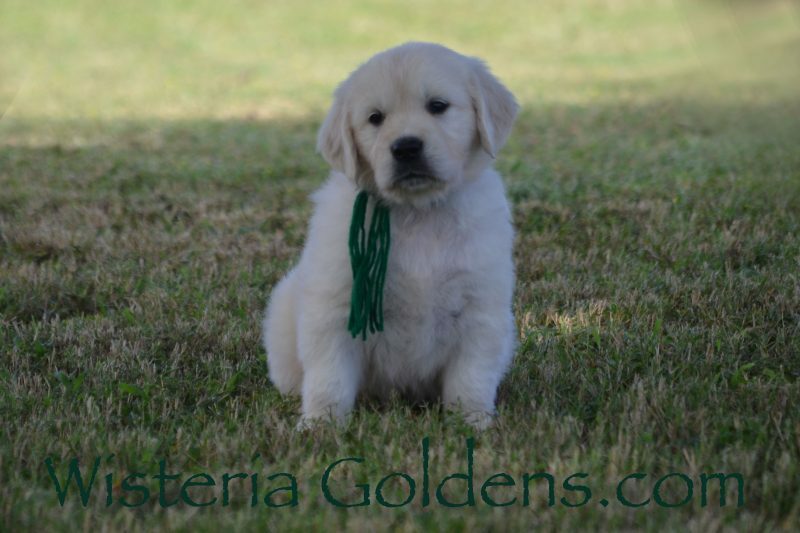 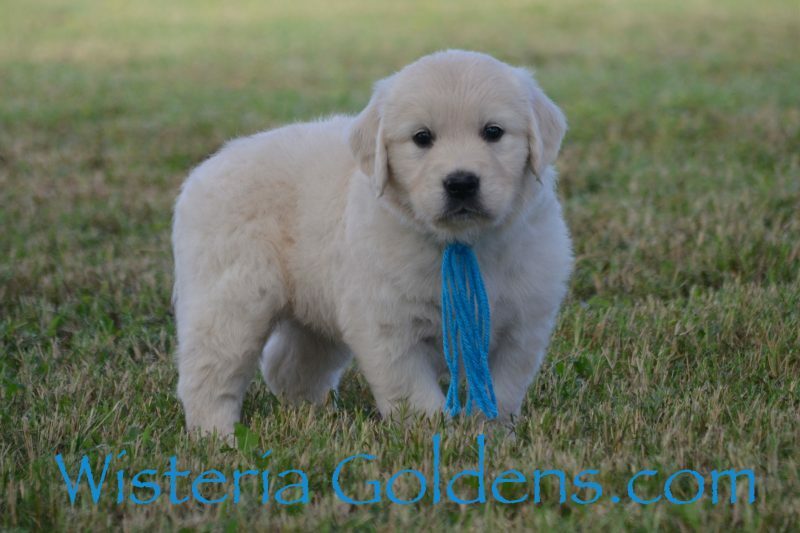 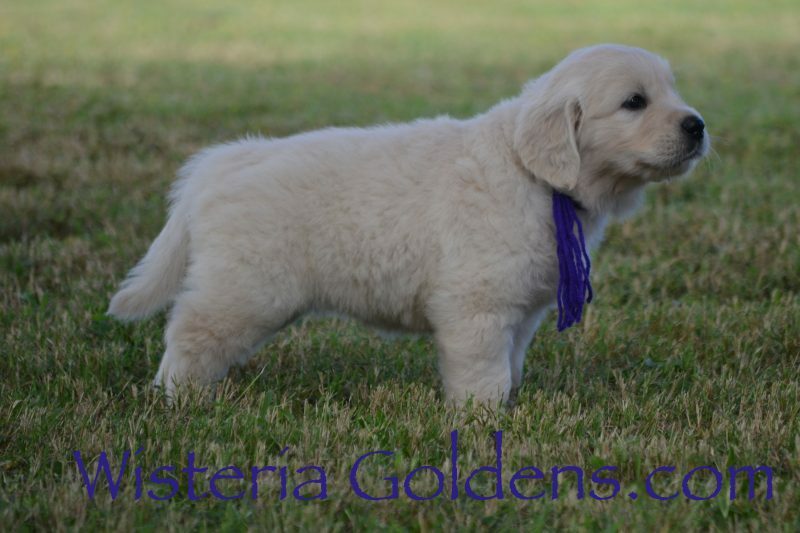 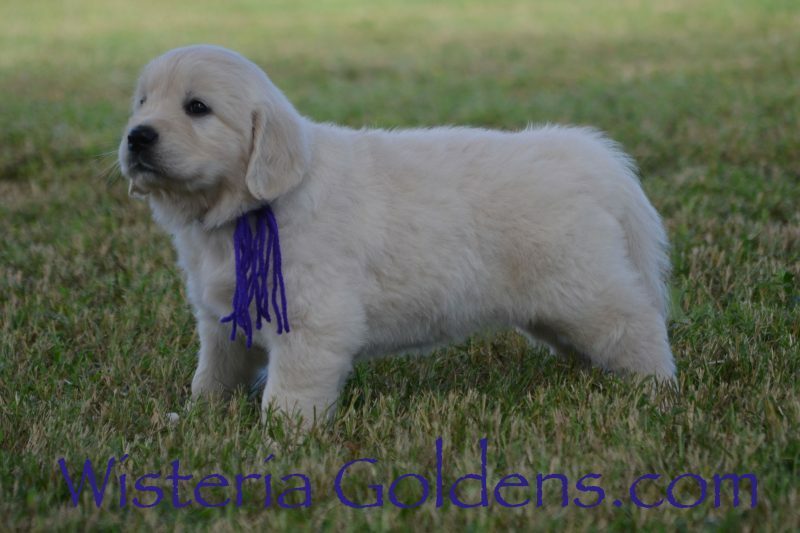 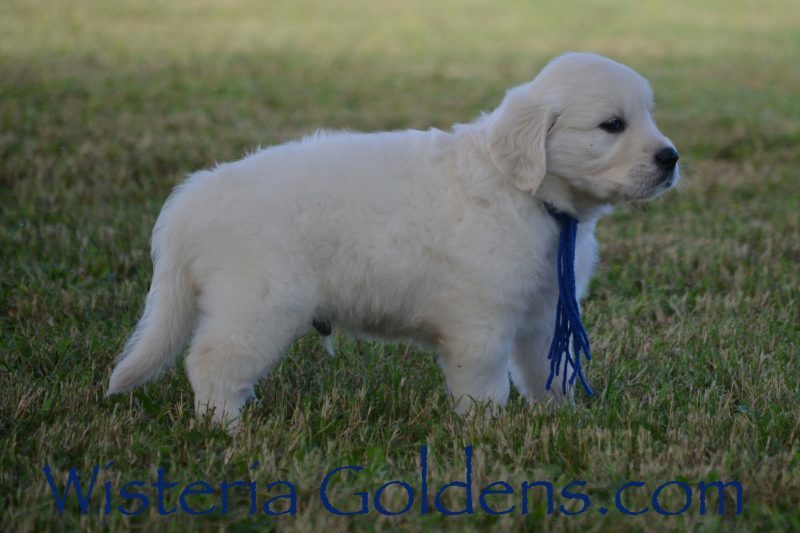 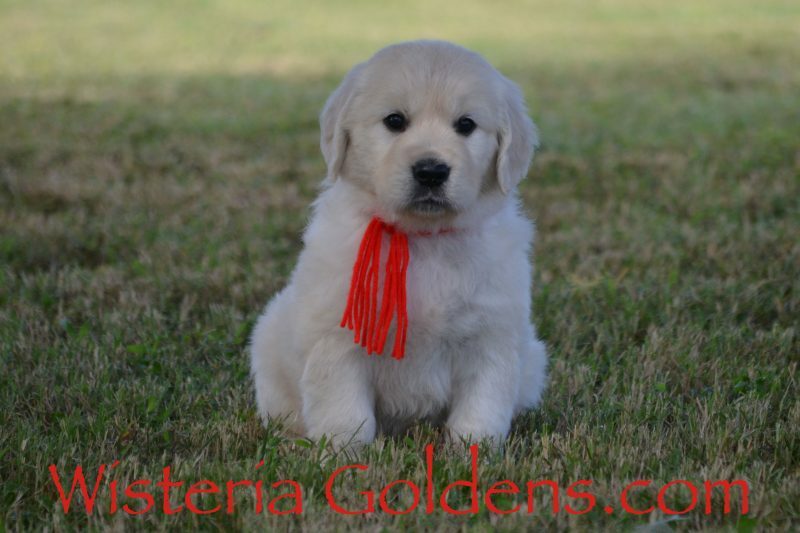 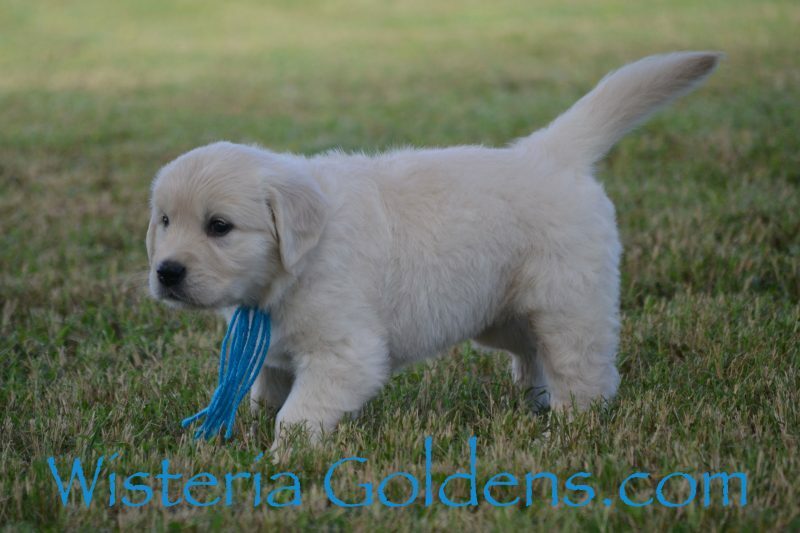 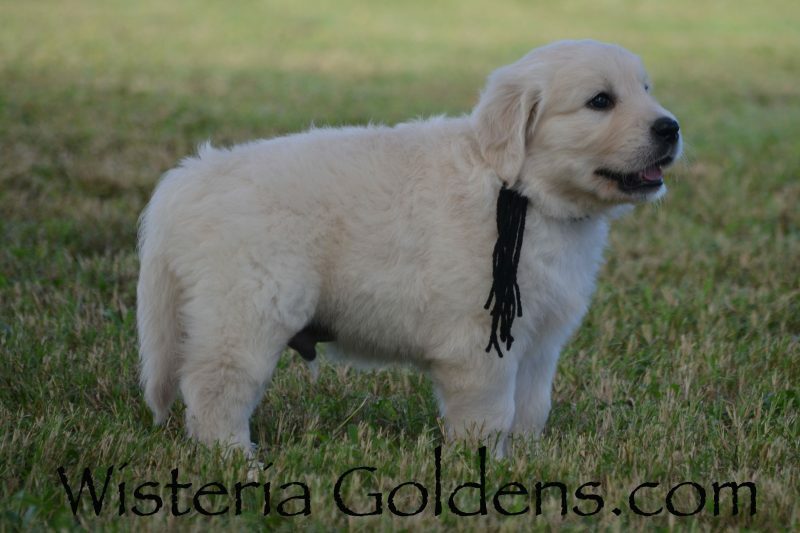 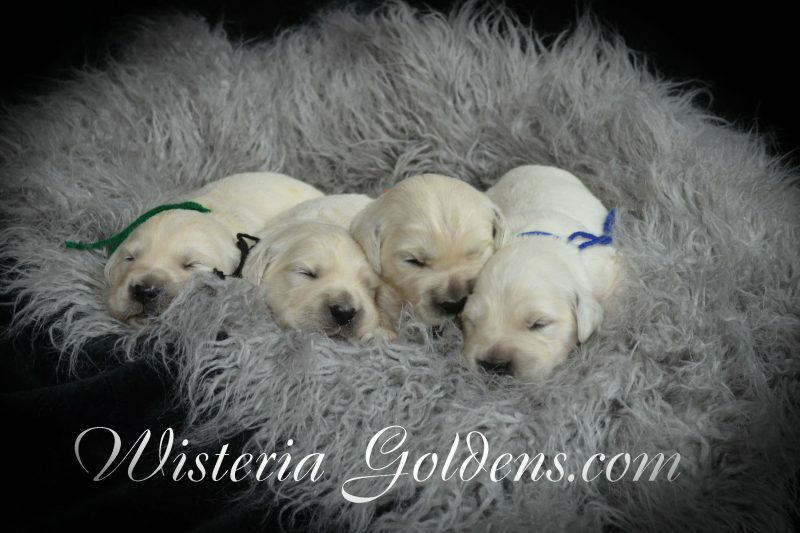 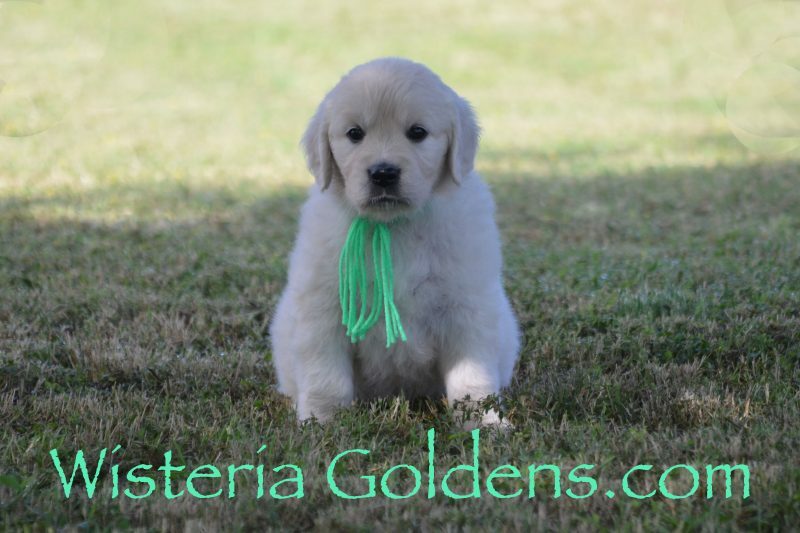 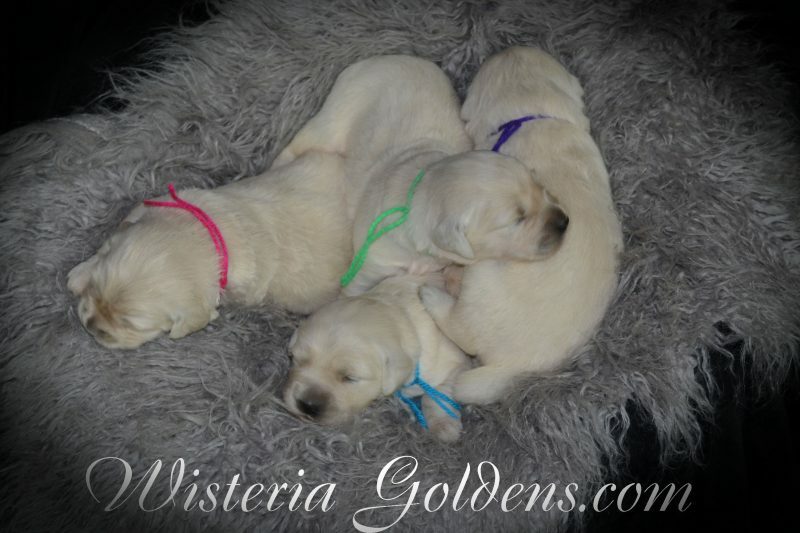 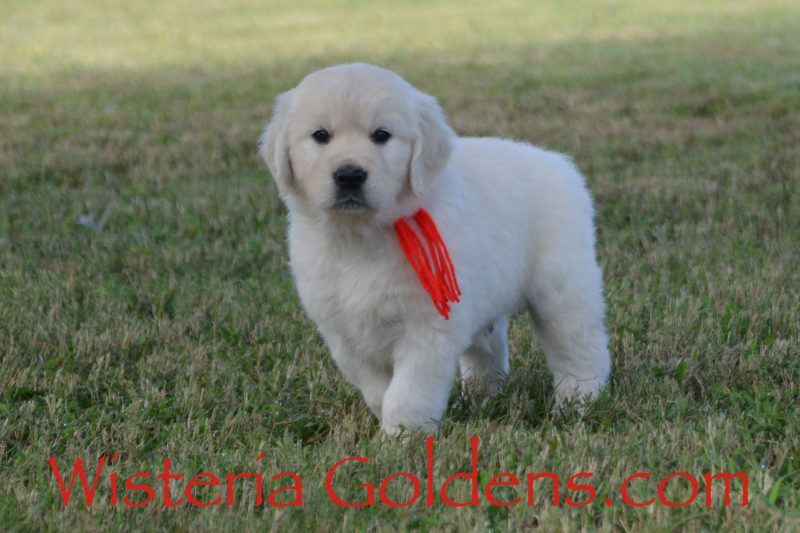 All of these Promise/Ego Litter puppies are confident, outgoing, playful pups. 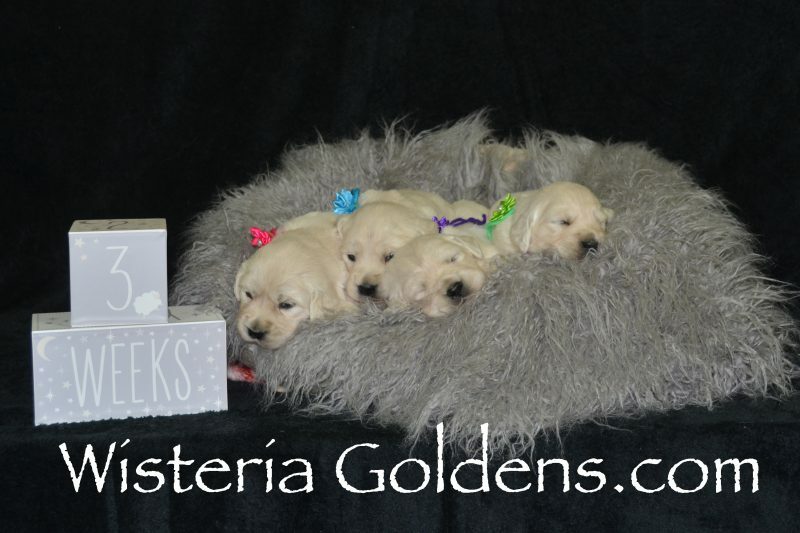 They are so close in personality there really isn’t any distinguishing personality details to describe each puppy individually. 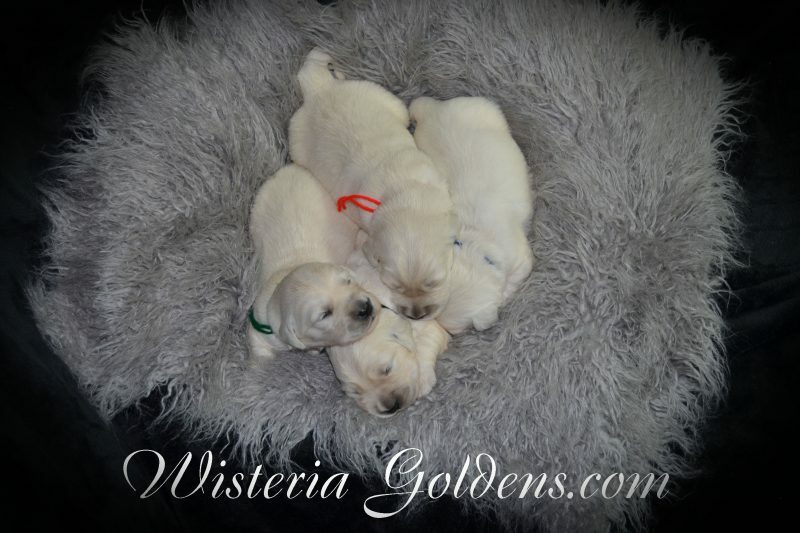 They love to explore (as you can see how spread out they are in the video, but they also “want to be with you” puppies. 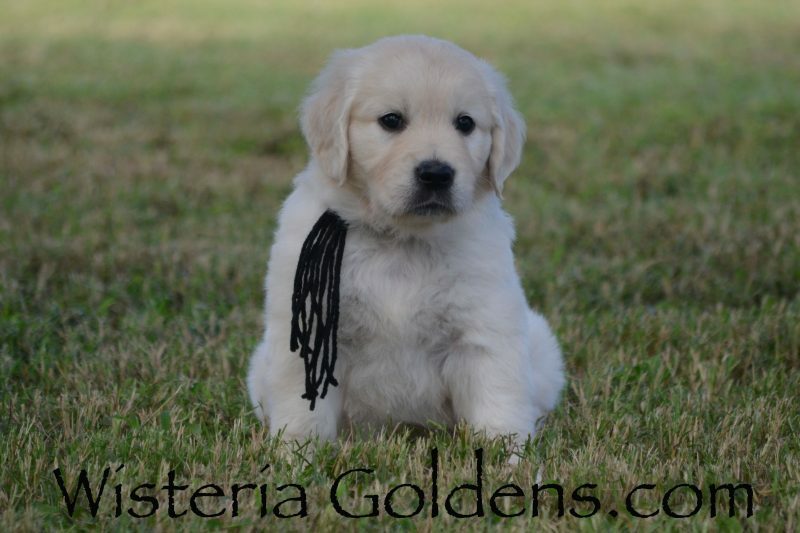 Black Boy is playful, affectionate, loves to be with you boy. 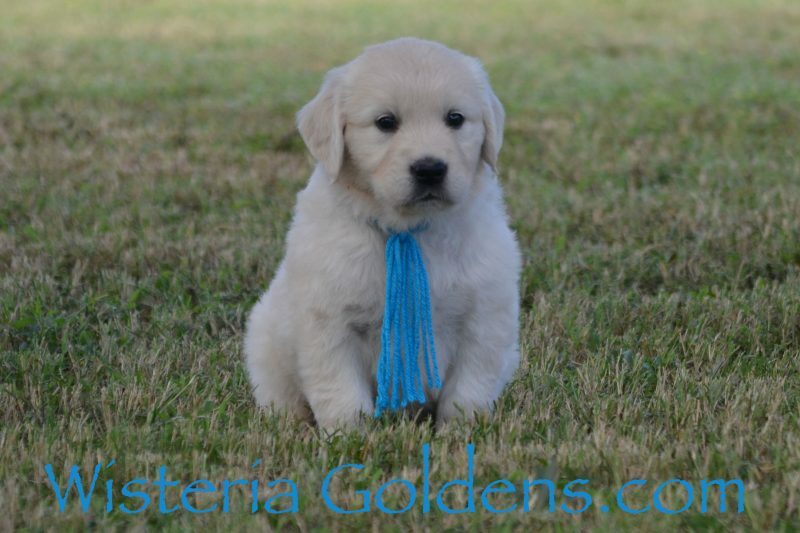 He enjoys cuddles, people oriented, and is often close by. 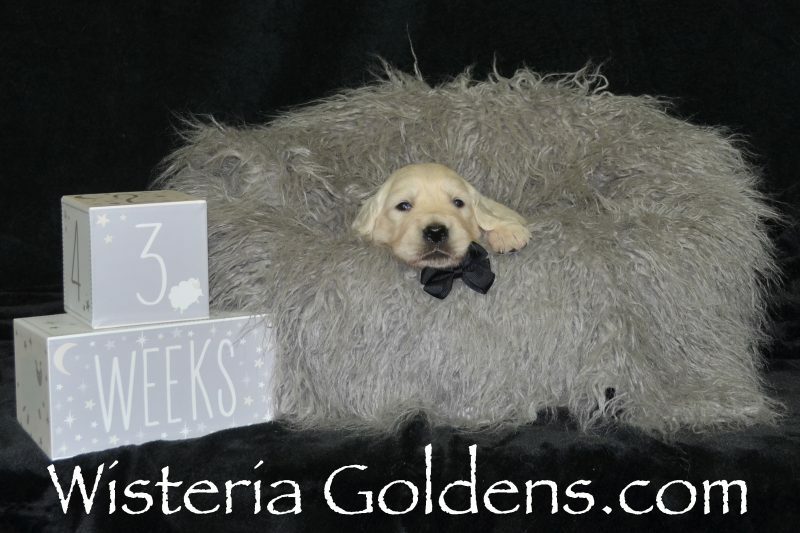 He has mid-range energy level, and doing fairly well in the crate — has his moments, but settles. 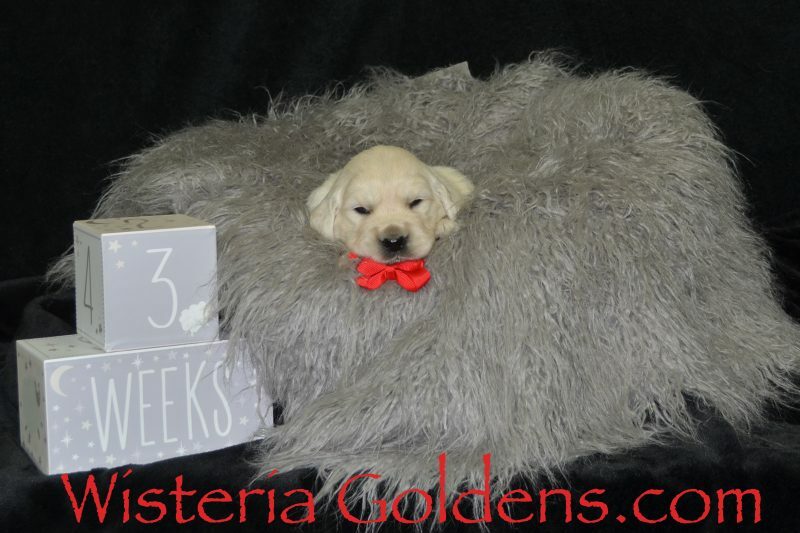 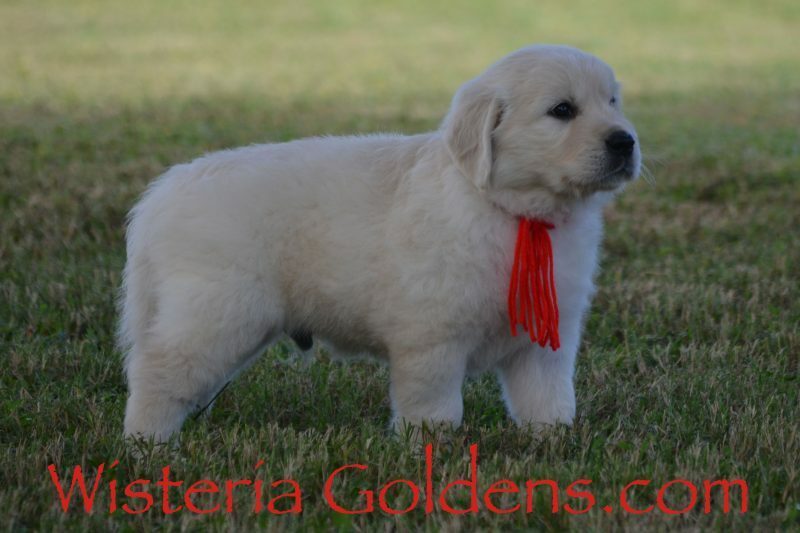 He has a blocky head and coat is light in color with some gold dusting. 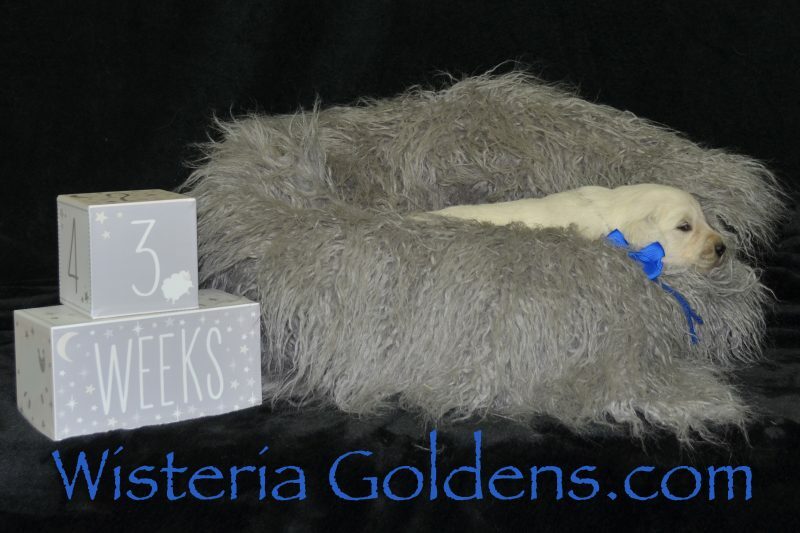 He weighs: 8.6 lbs. 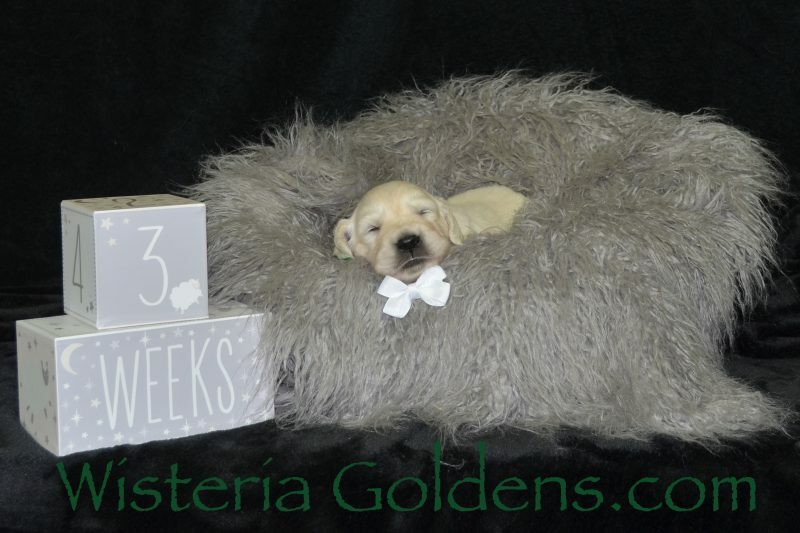 Normally we start sharing pictures at Three Weeks but because we didn't have more newborn pictures to share we are sharing Two Weeks this time.